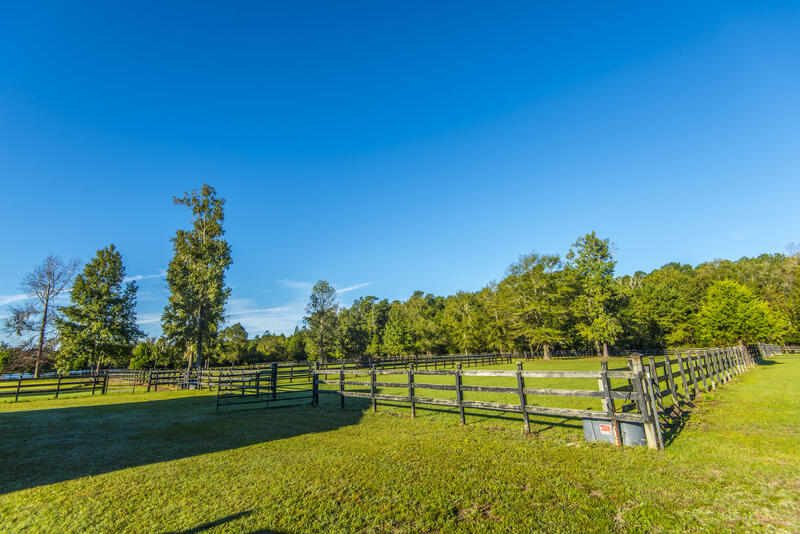 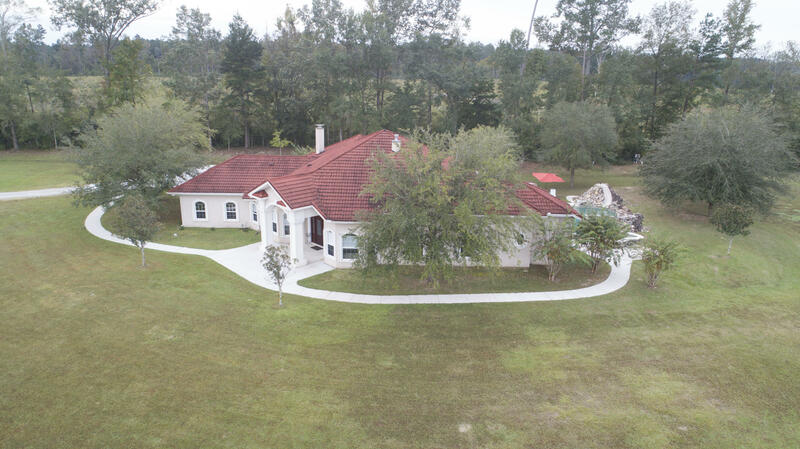 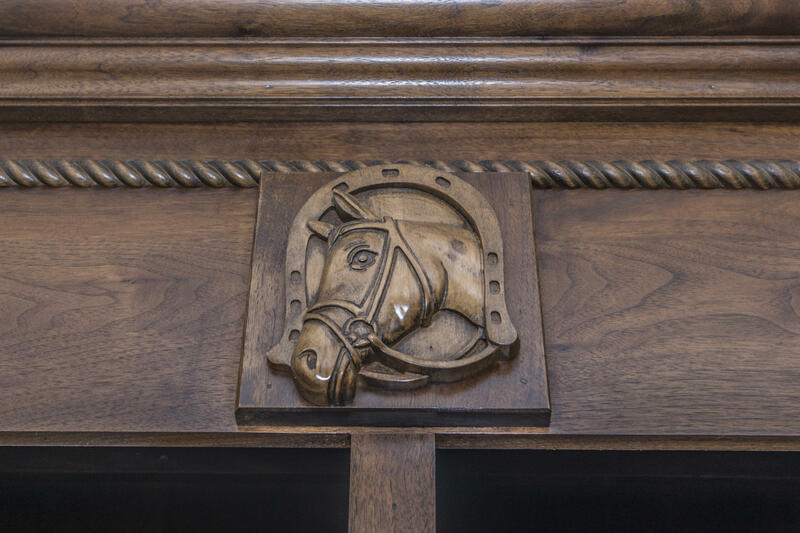 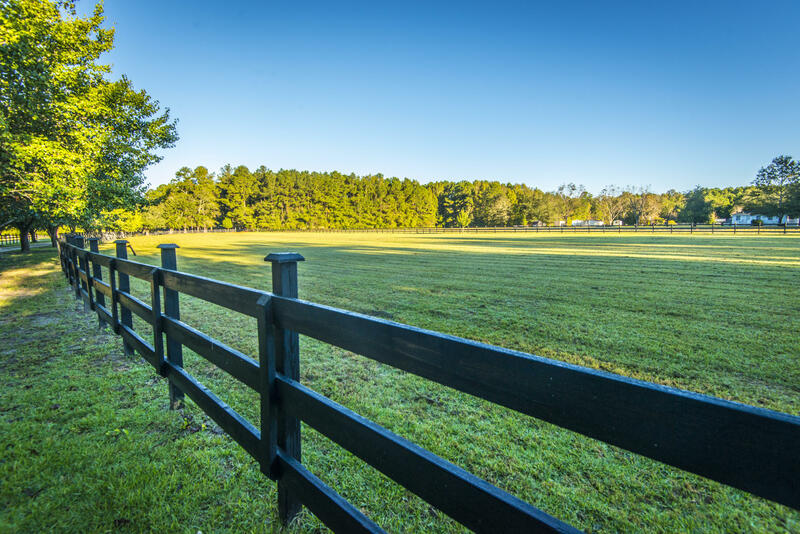 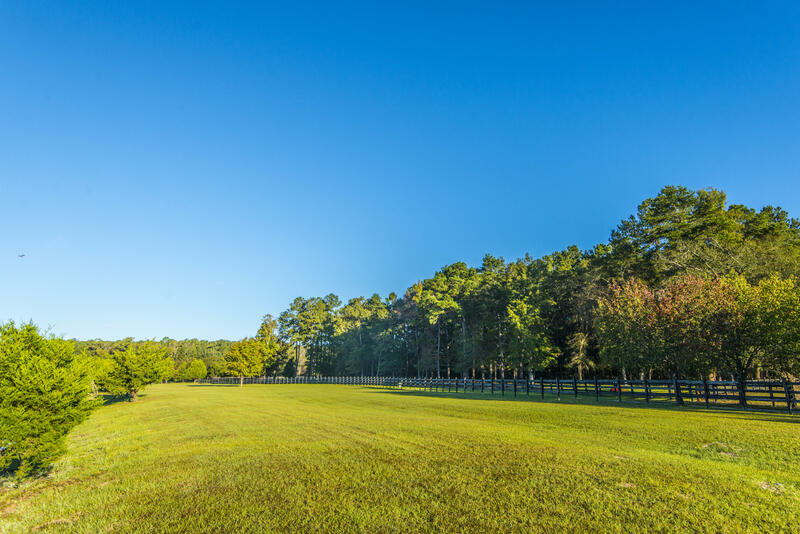 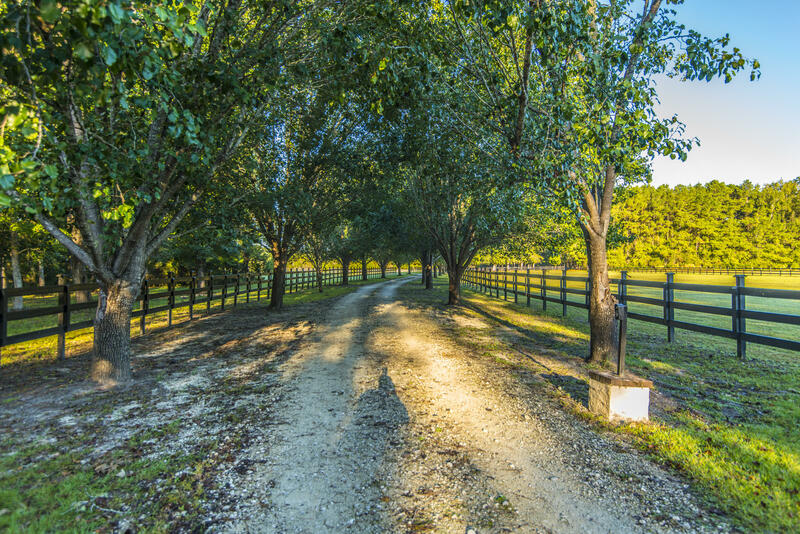 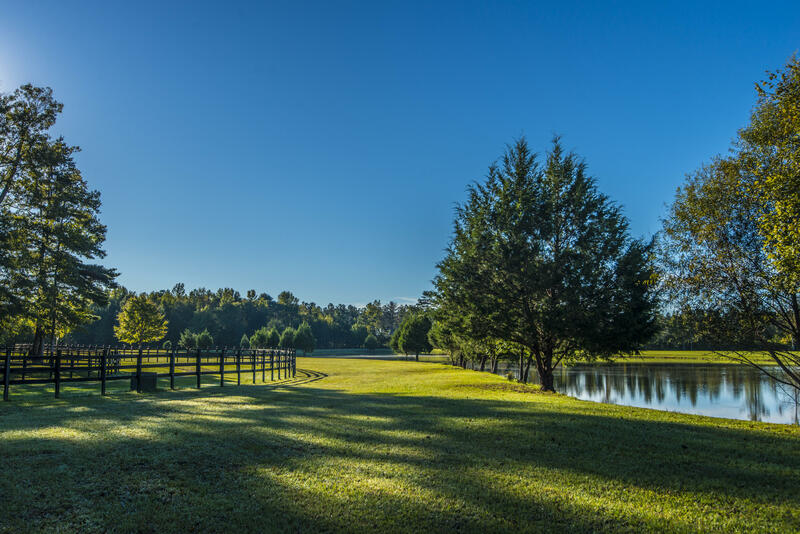 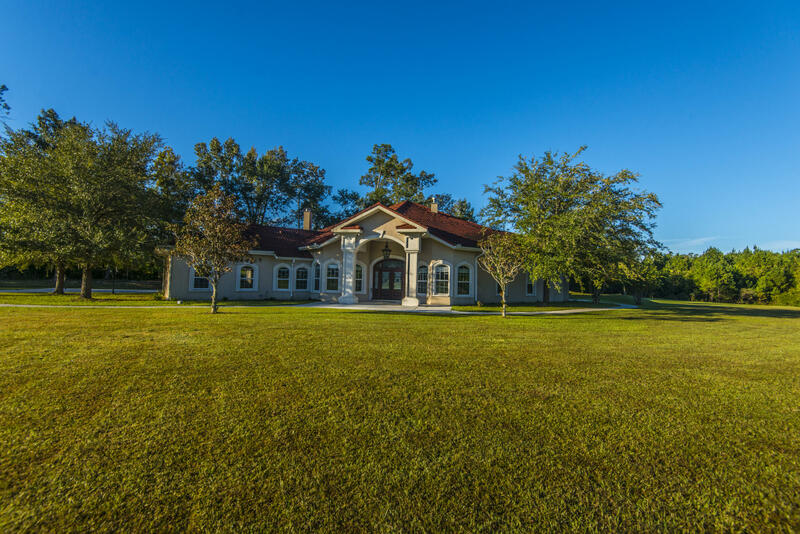 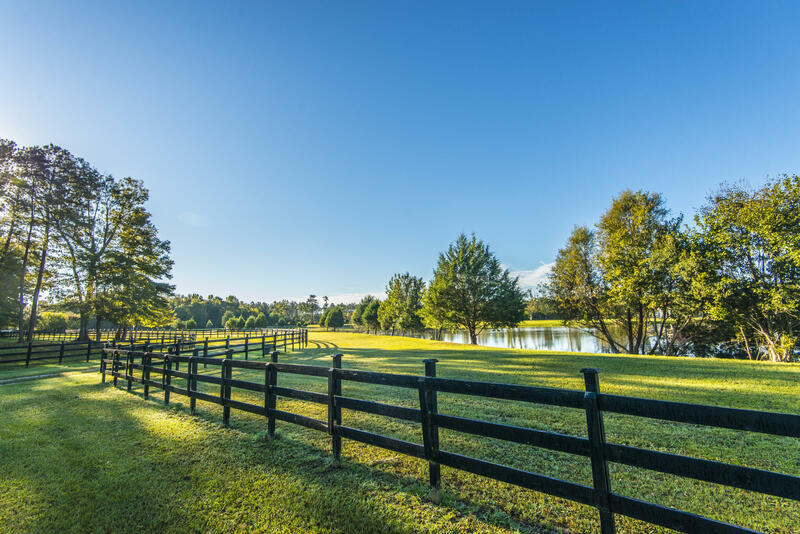 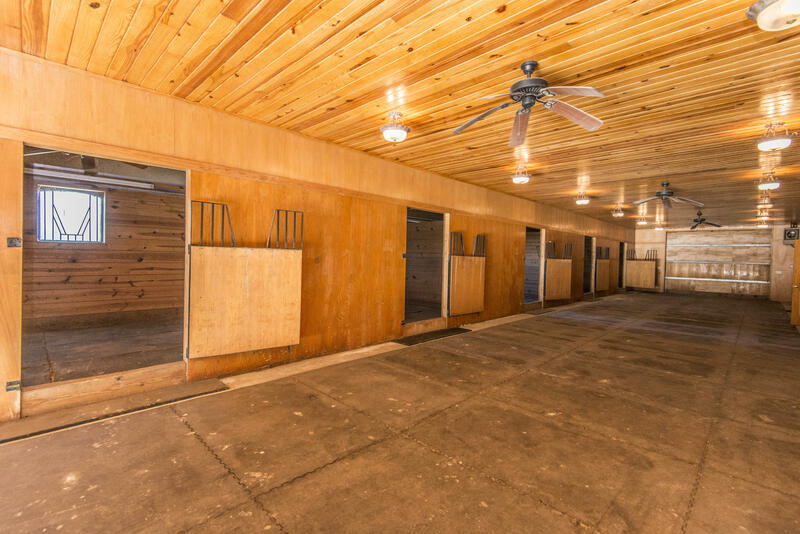 An equestrian's dream located in the heart of cottageville. 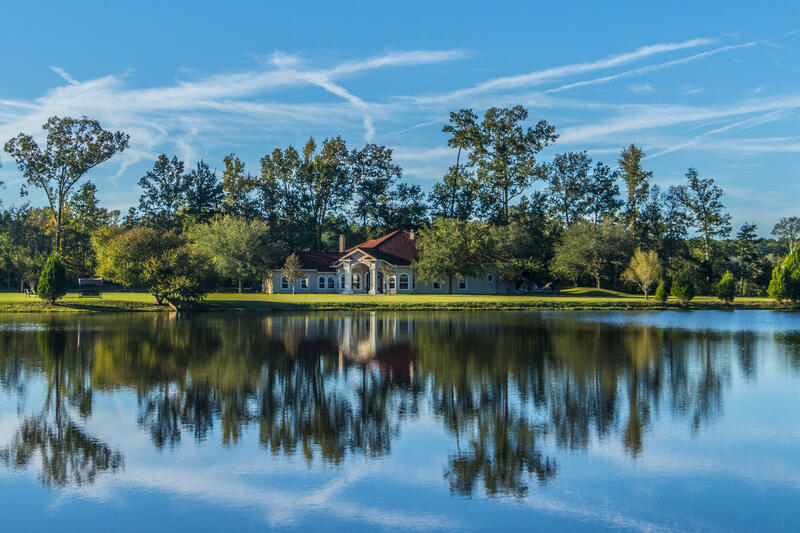 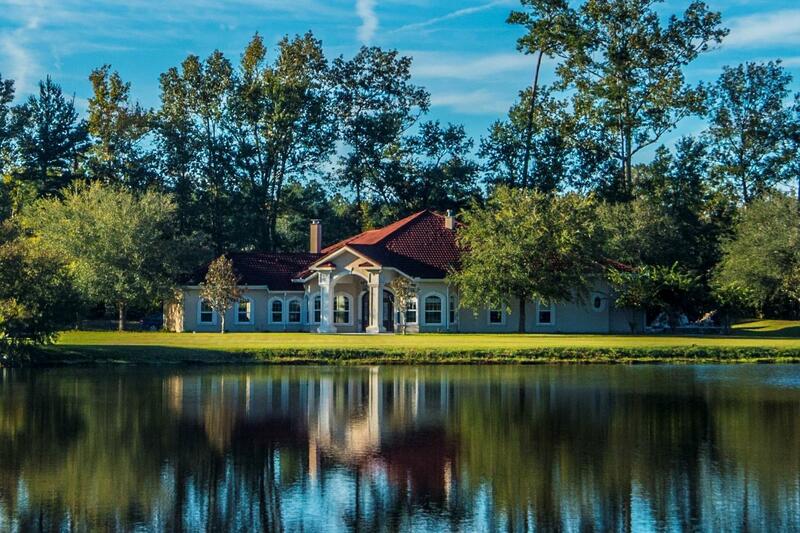 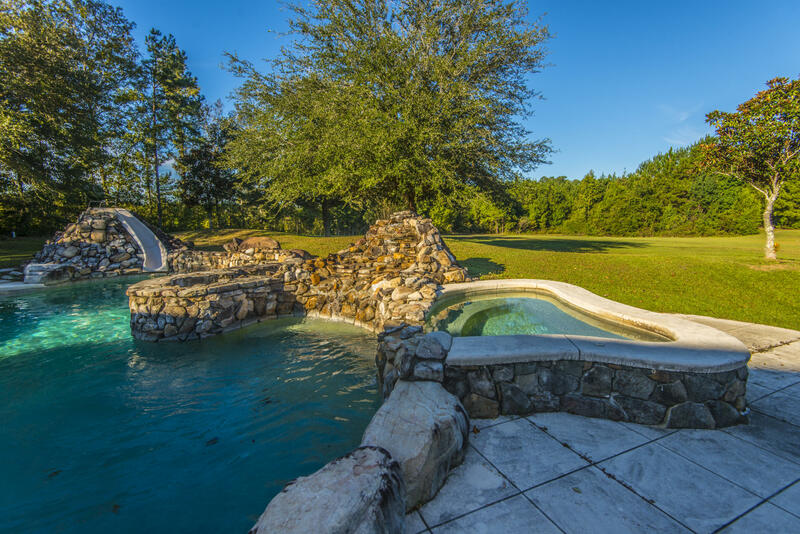 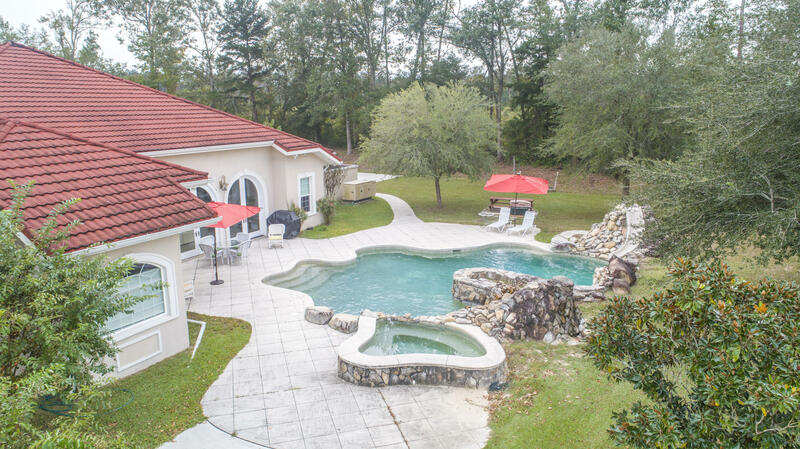 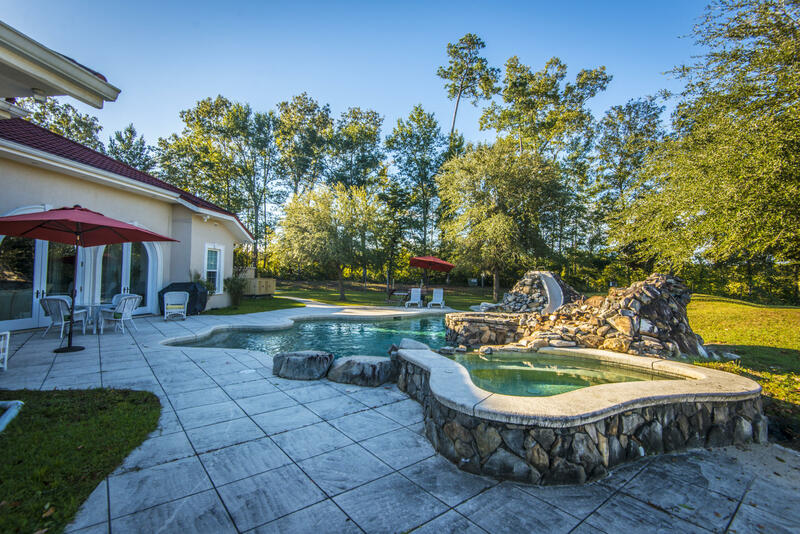 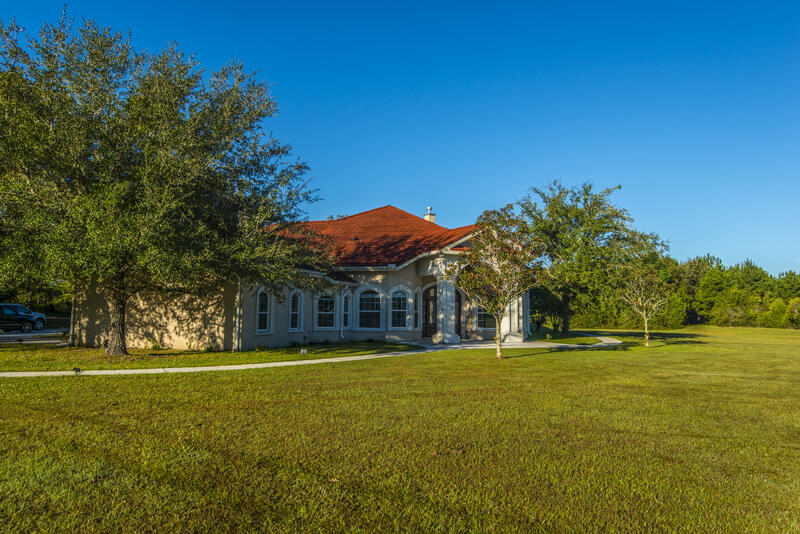 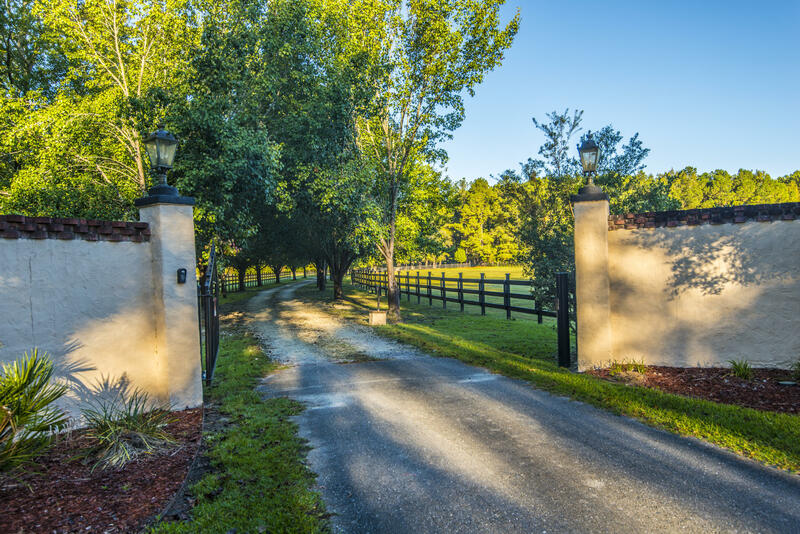 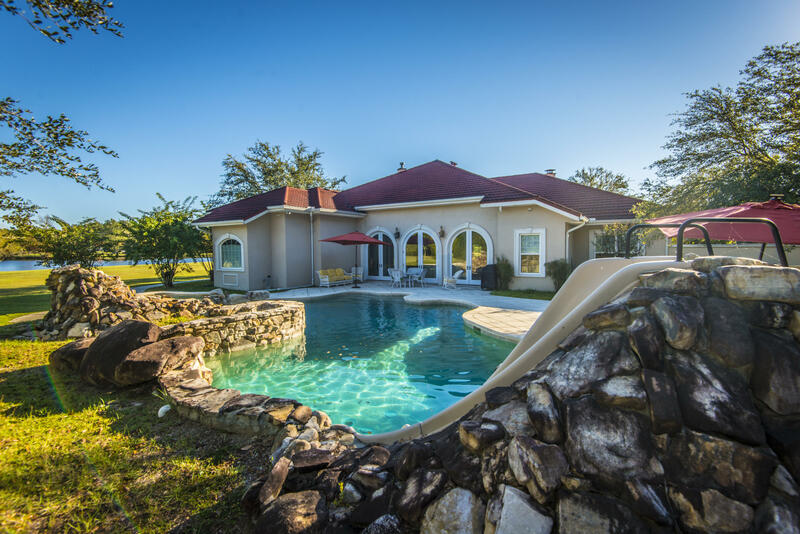 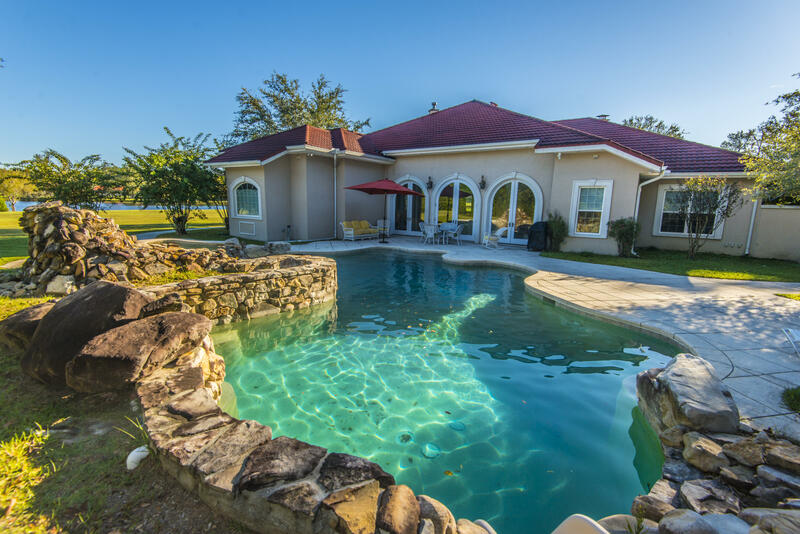 A private spanish style retreat perfect for entertaining, fishing, swimming, riding horses or lounging in the sauna. 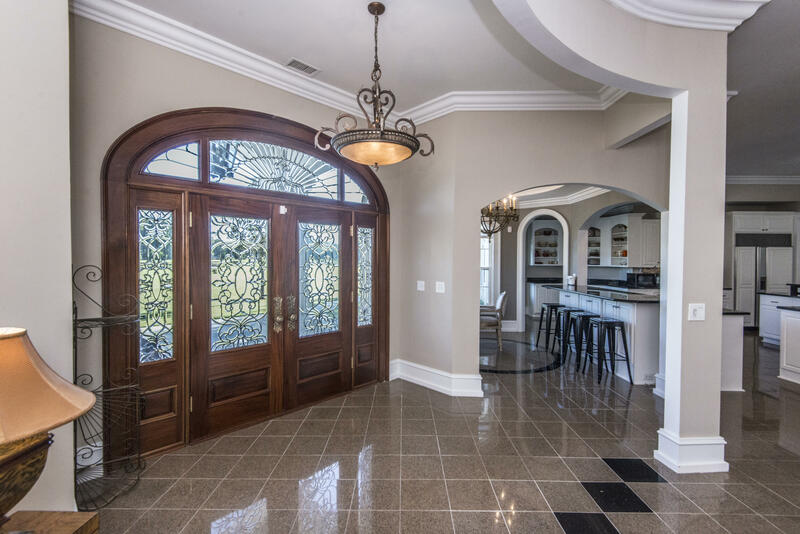 Grand mahogany doors with etched glass opens into the beautiful foyer with inlaid italian granite tile flooring. 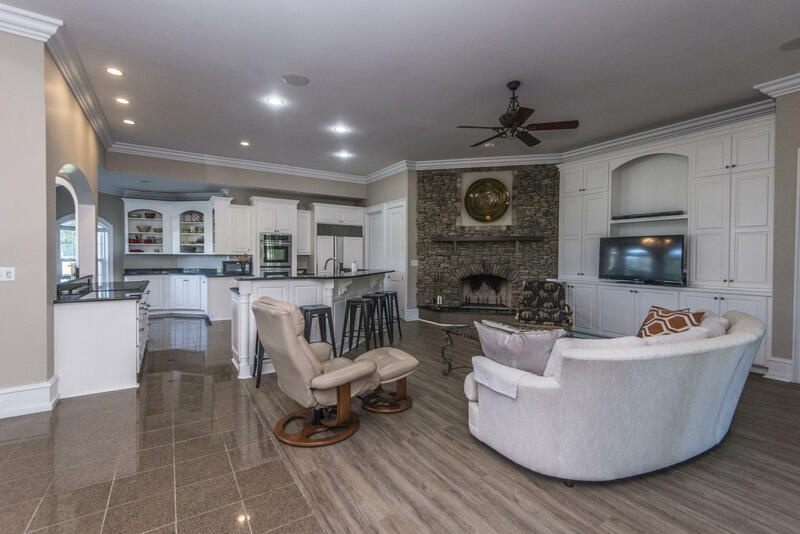 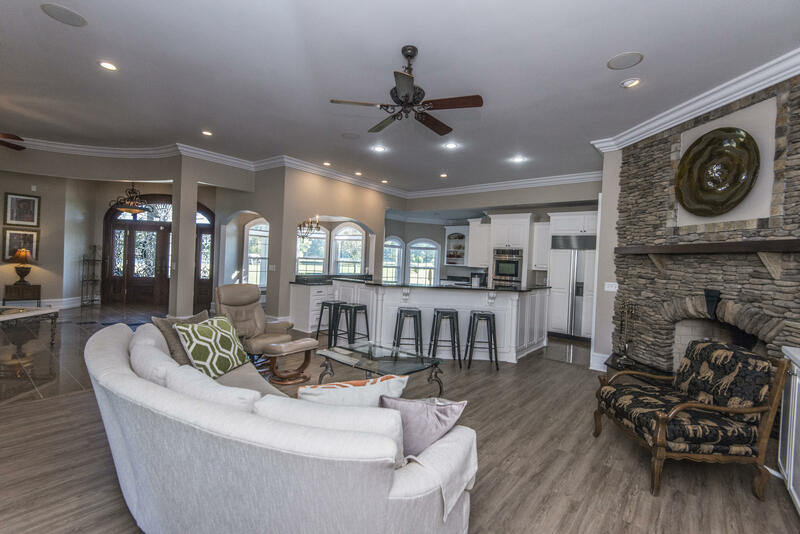 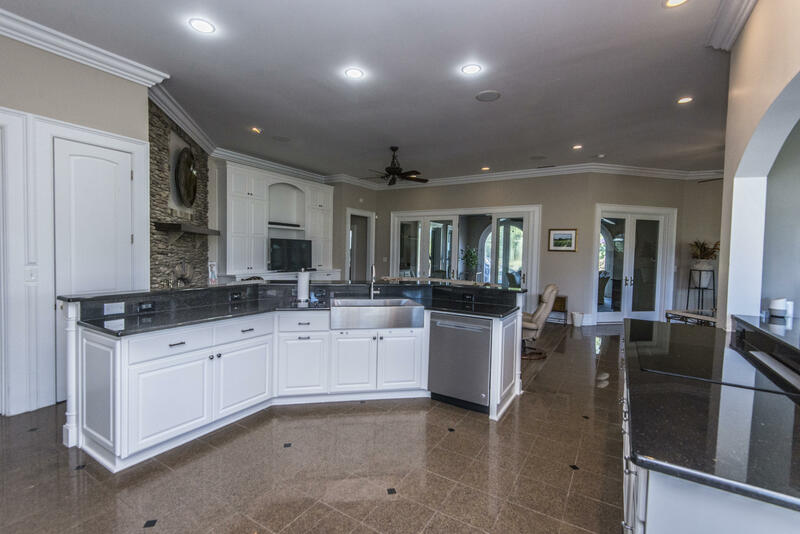 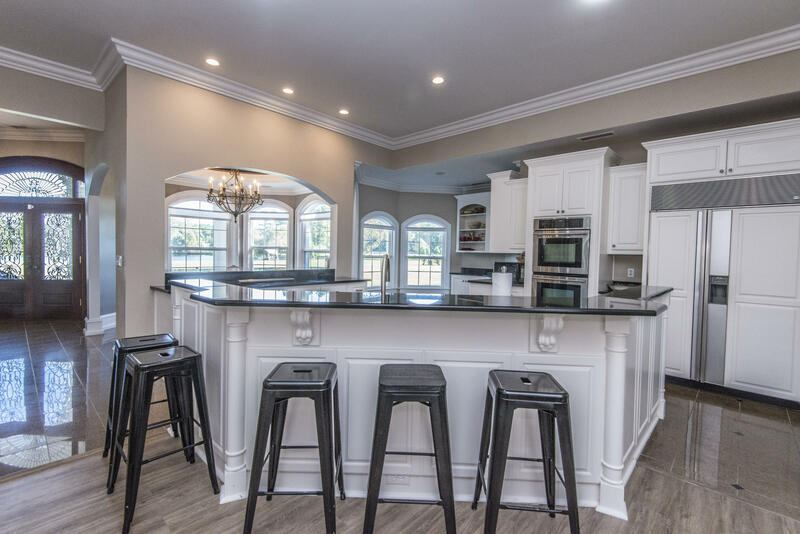 Open kitchen with custom floor to ceiling cabinets, granite countertops, dual ovens, flat top range looks into the large living room with rocked wood burning fireplace. 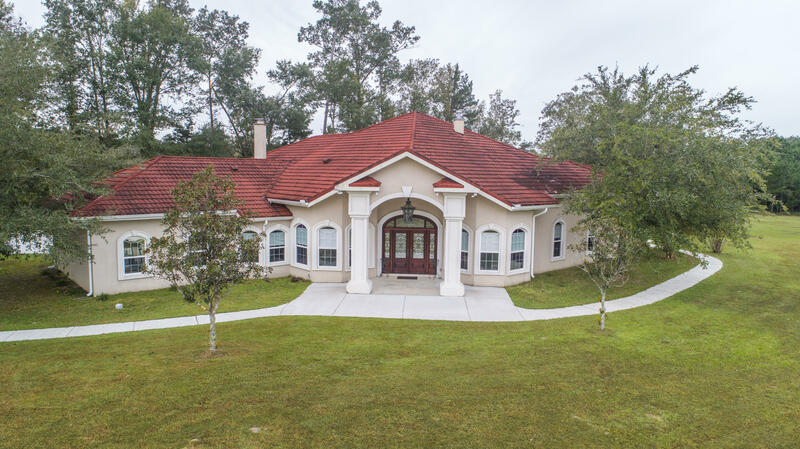 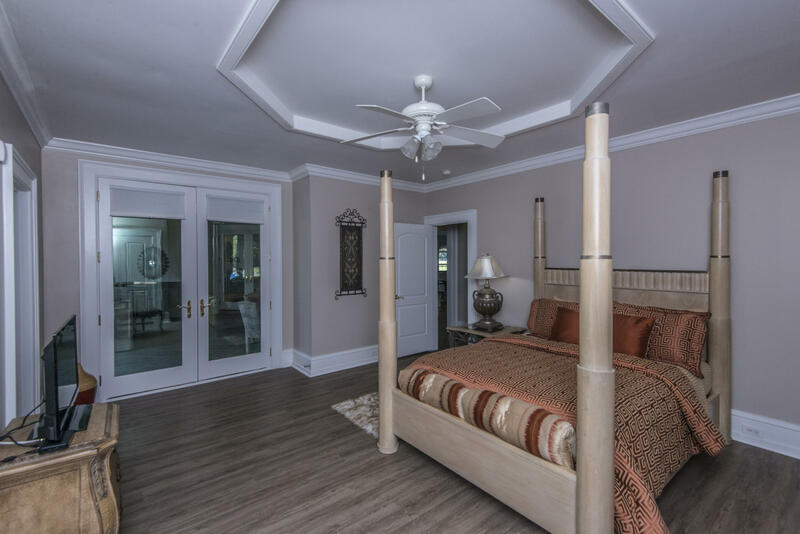 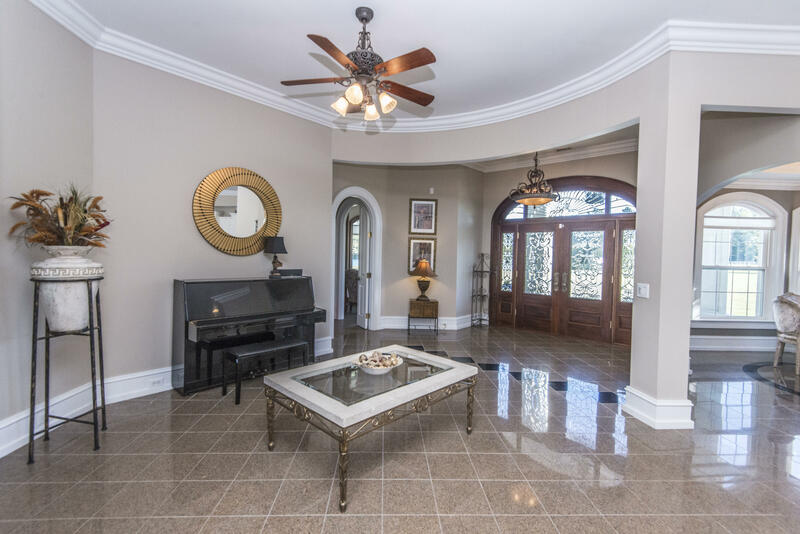 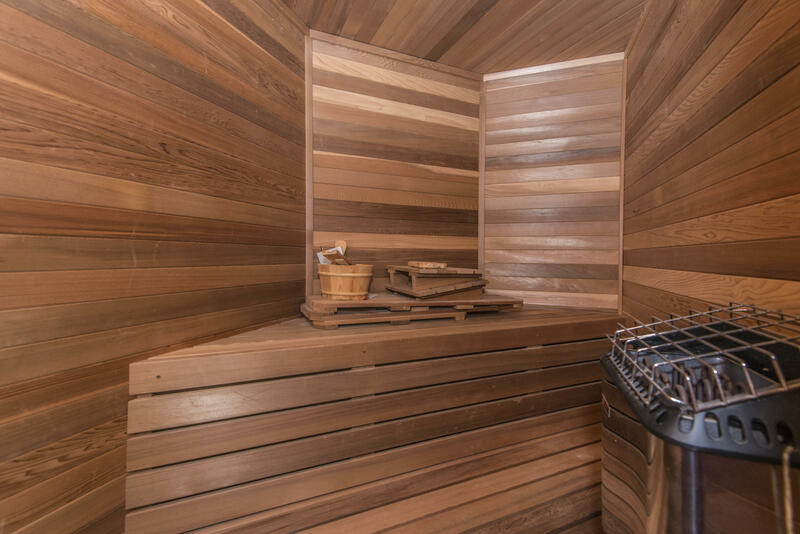 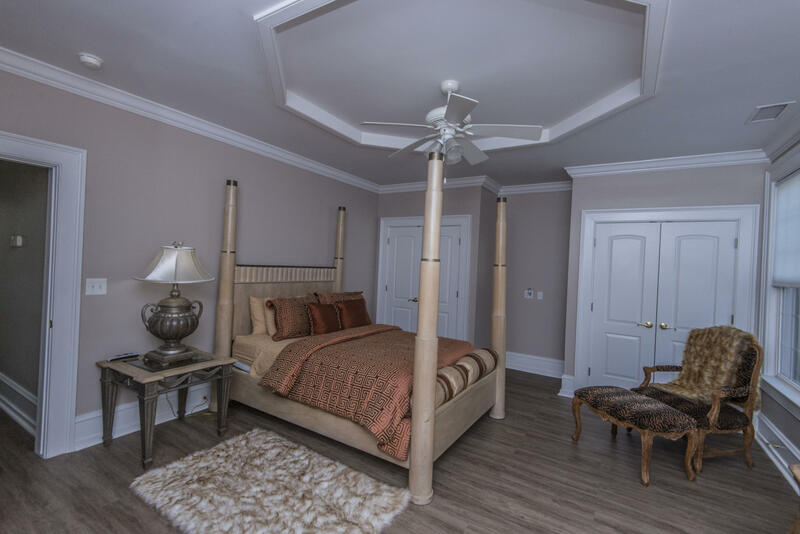 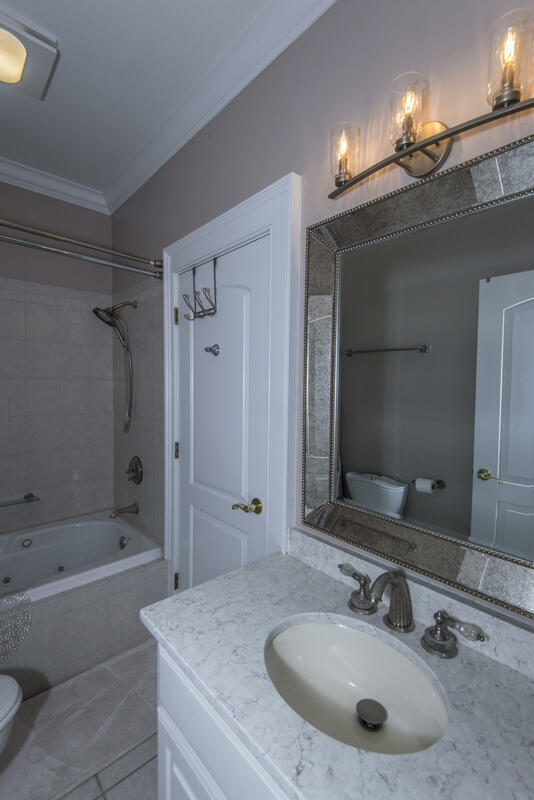 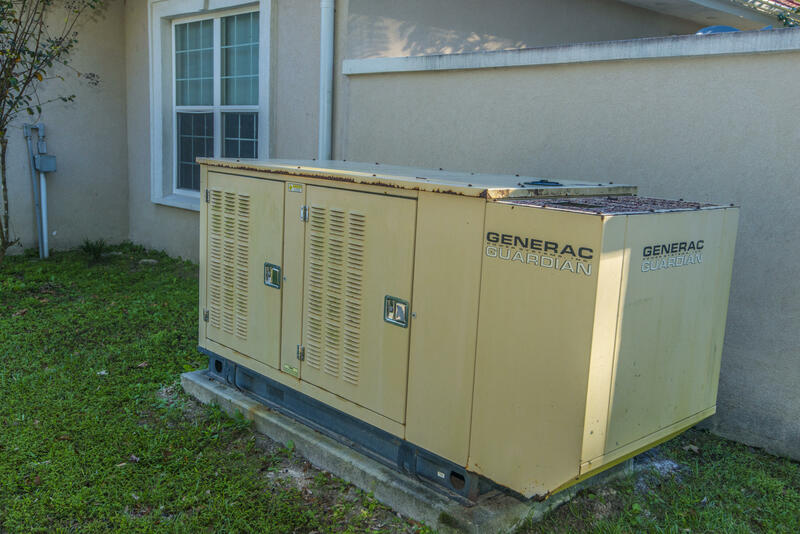 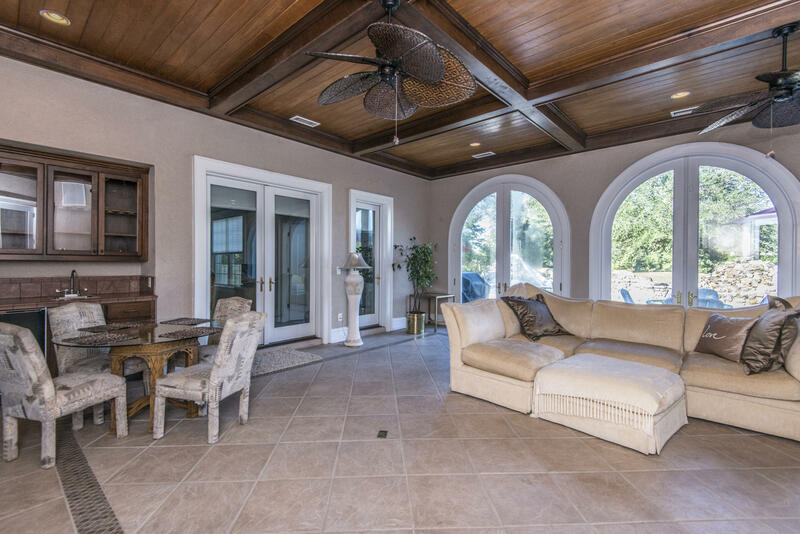 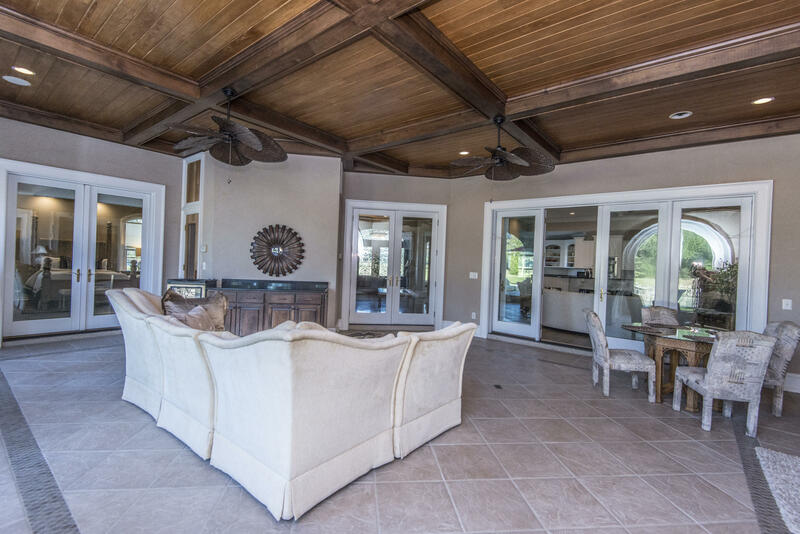 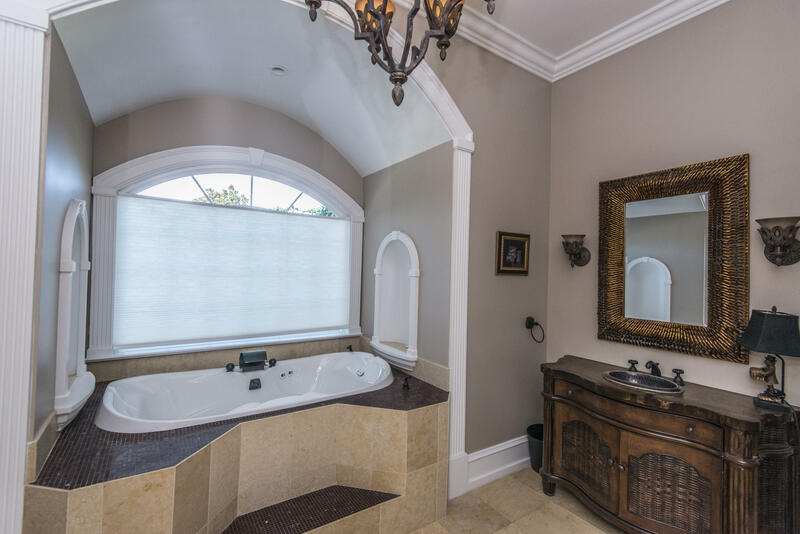 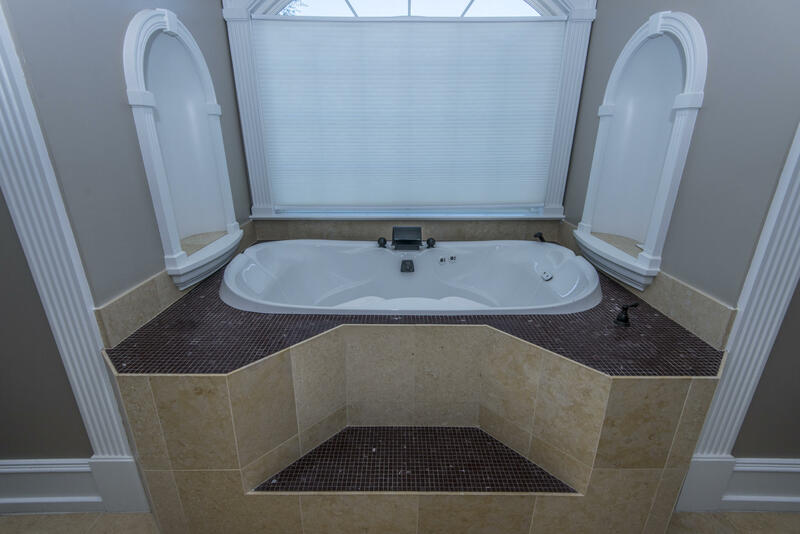 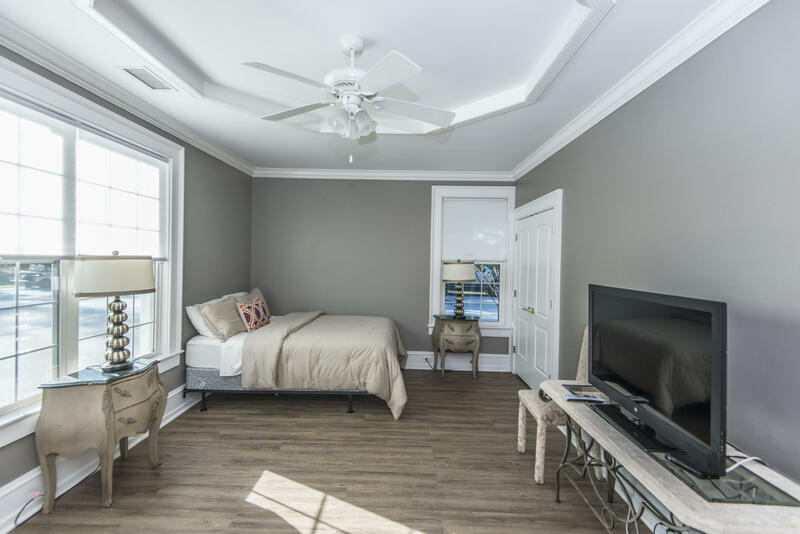 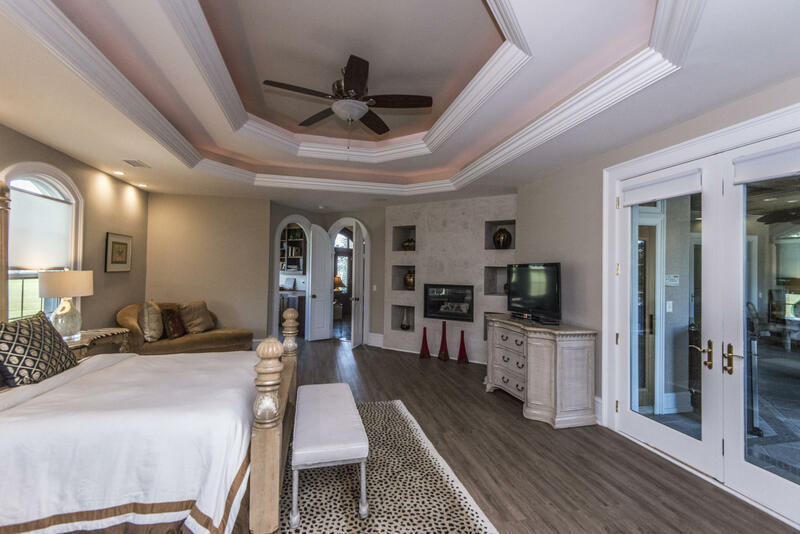 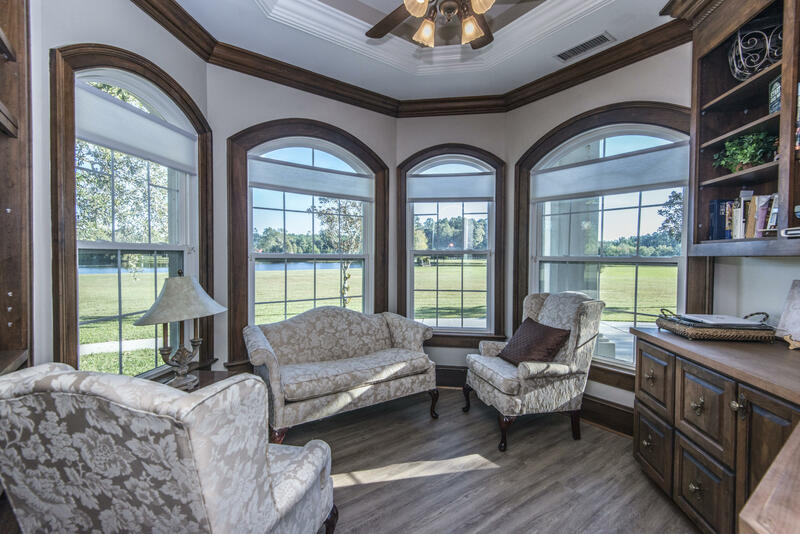 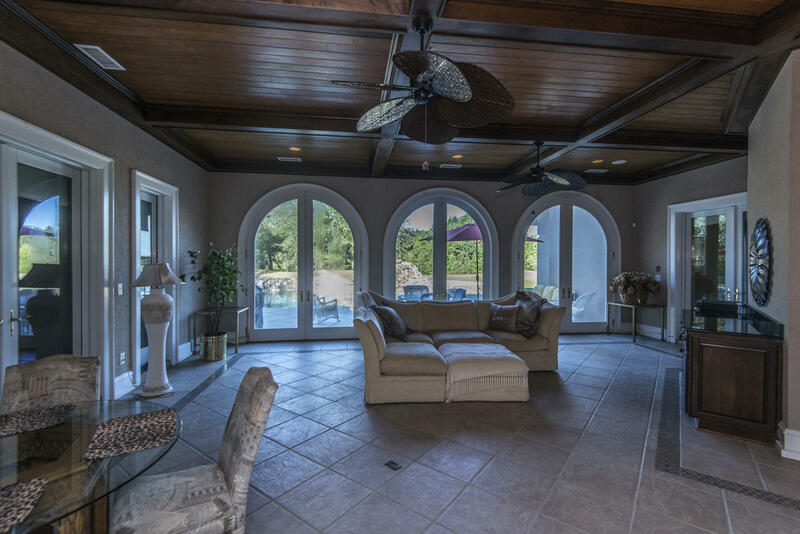 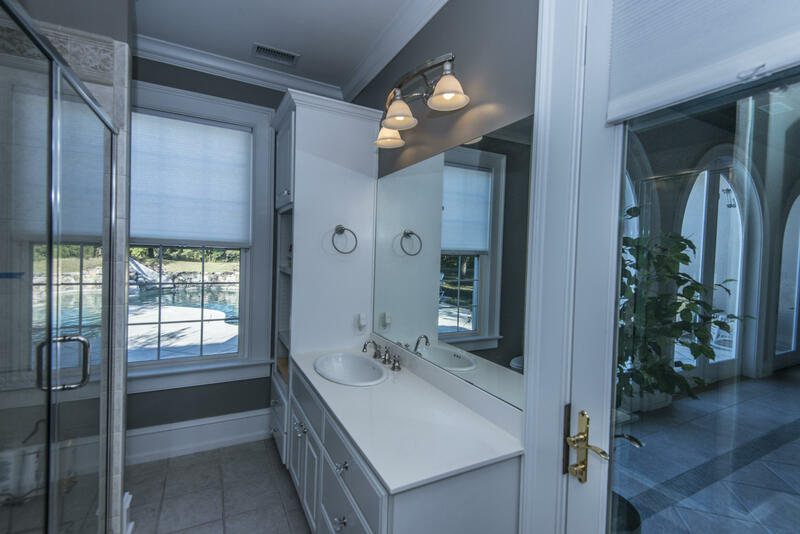 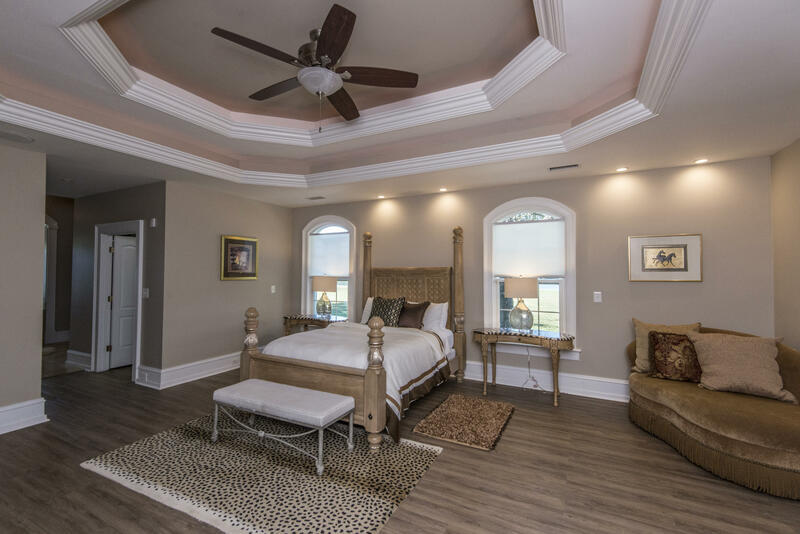 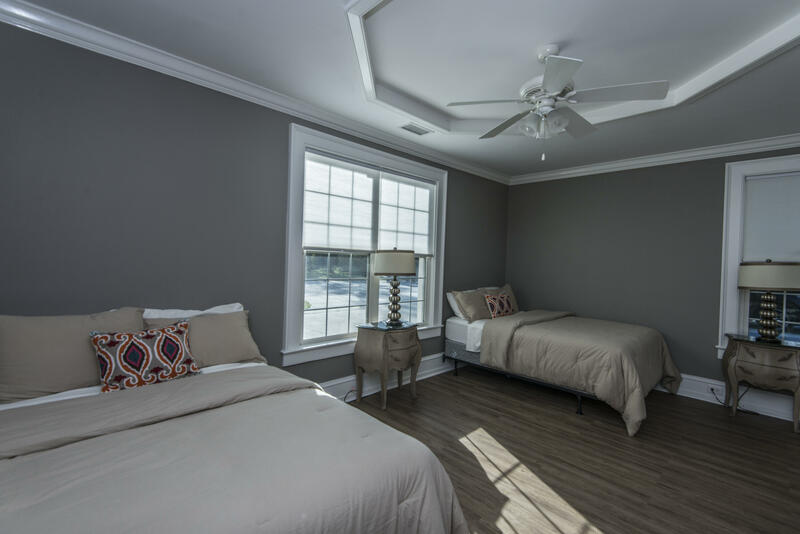 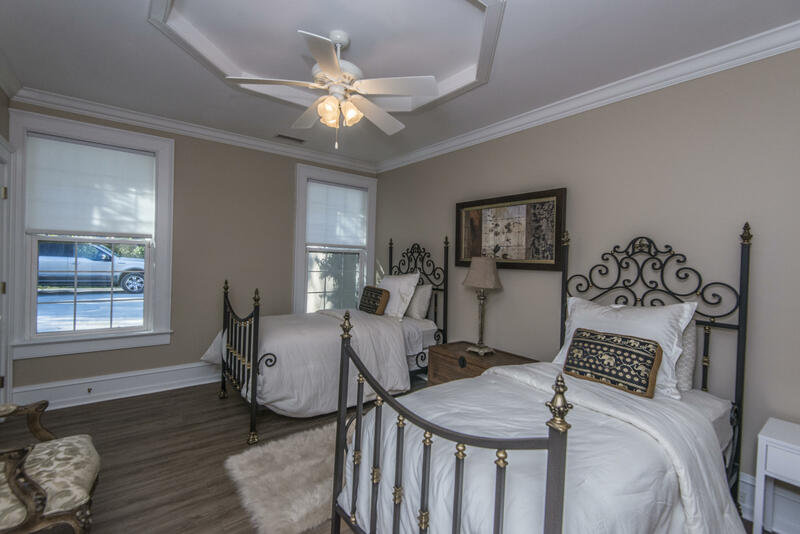 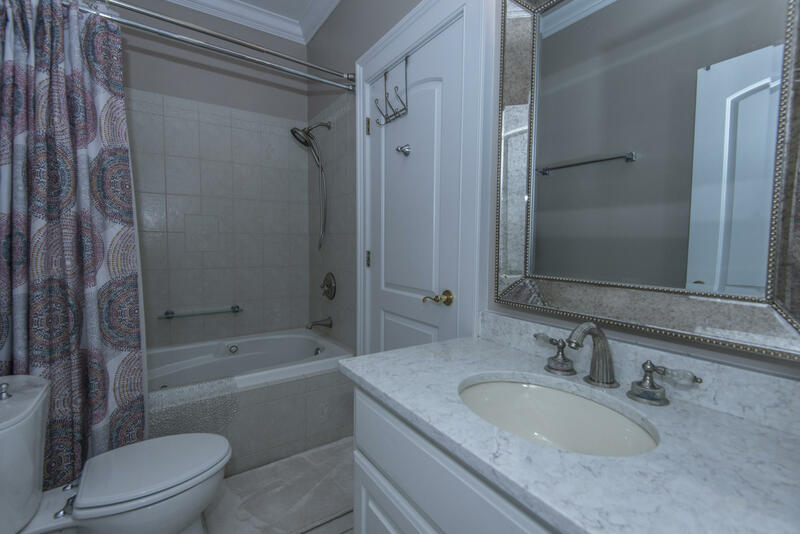 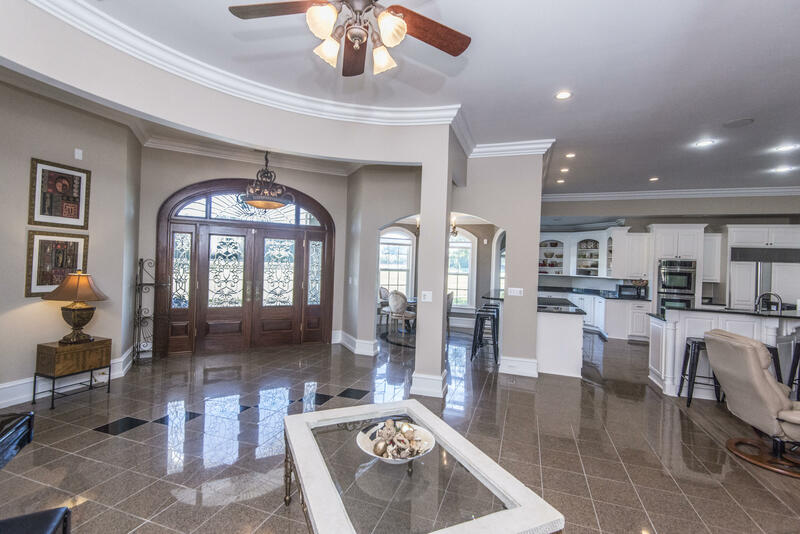 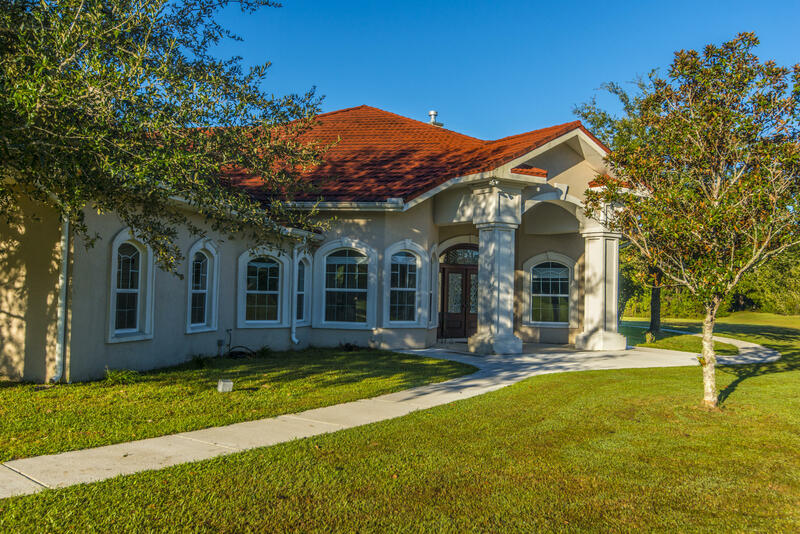 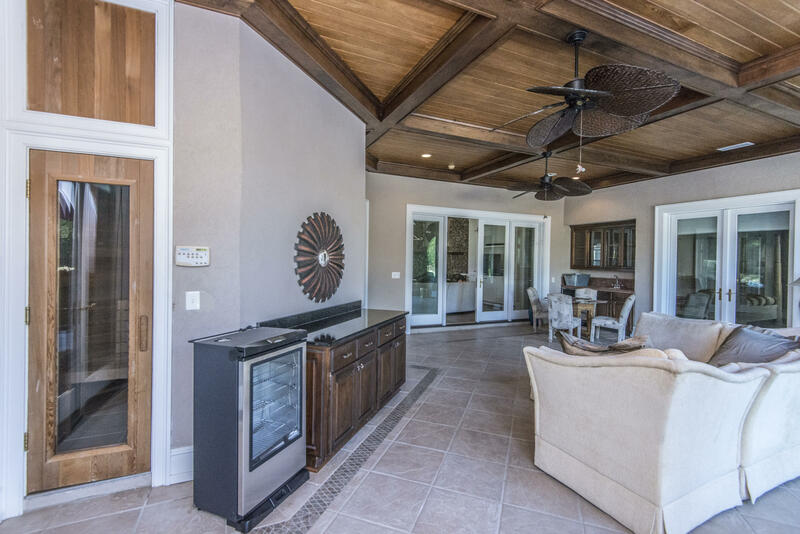 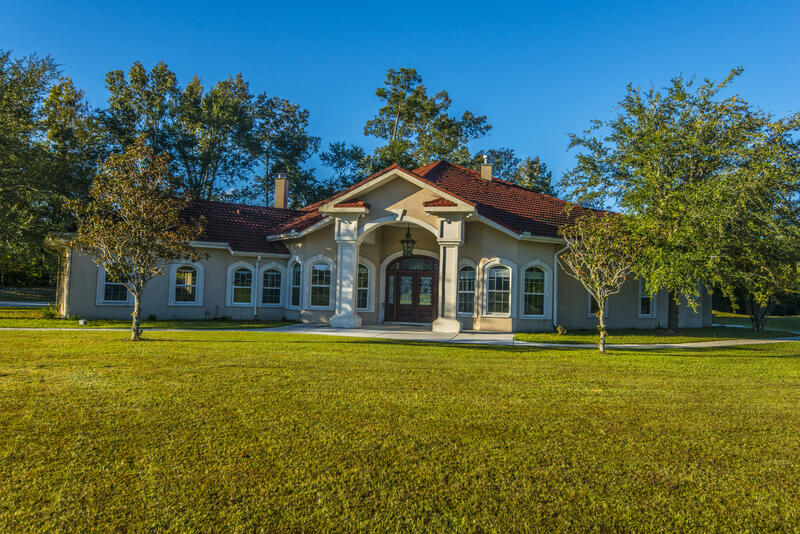 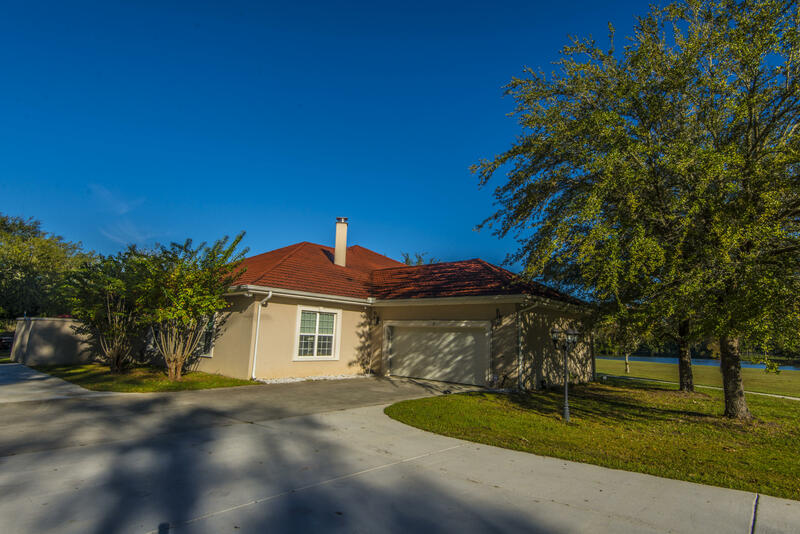 Beautiful molding throughout the home, salt water pool with waterfall and enclosed lanai. 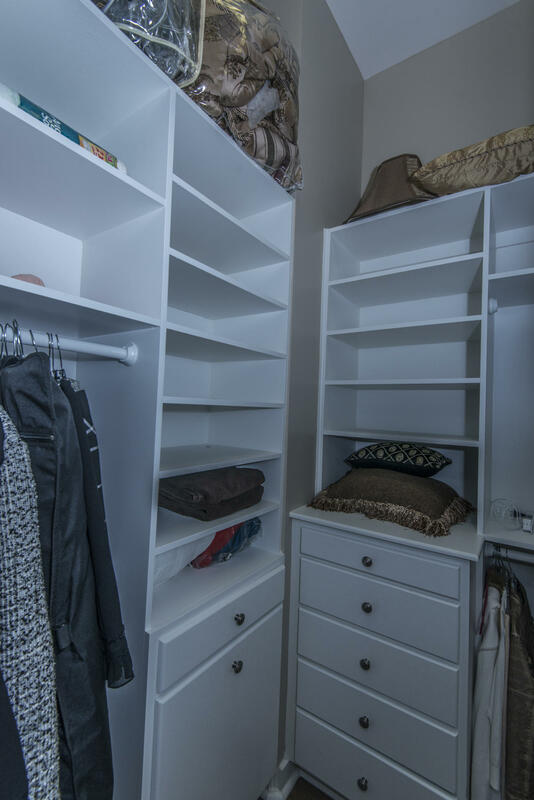 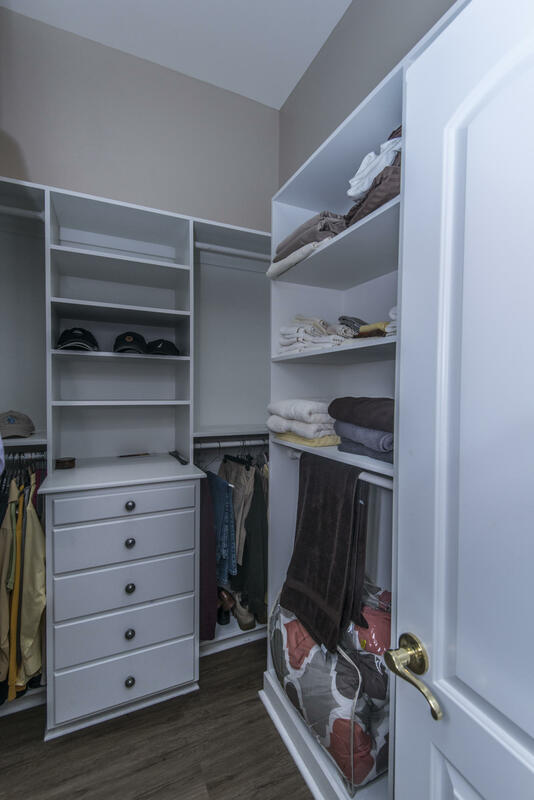 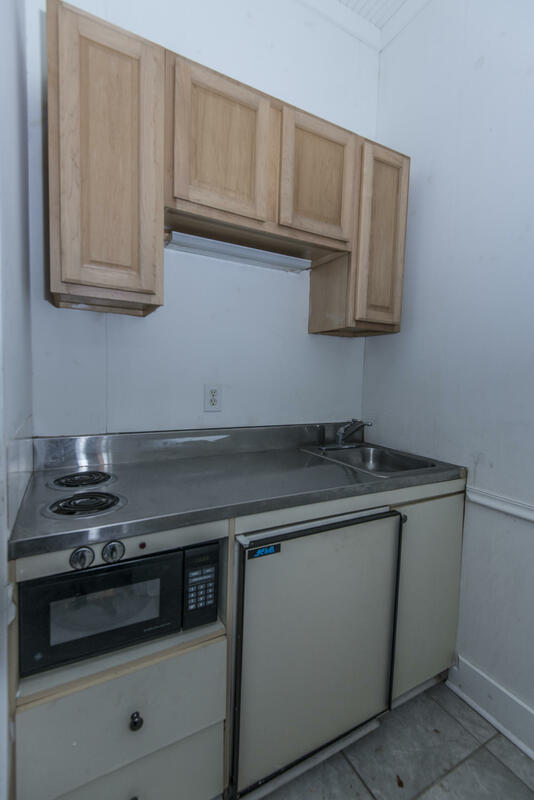 Lots of closets and storage. 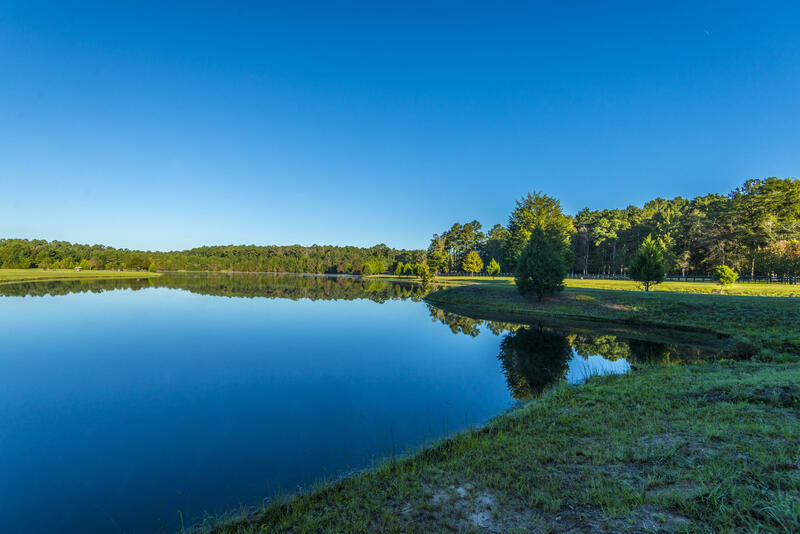 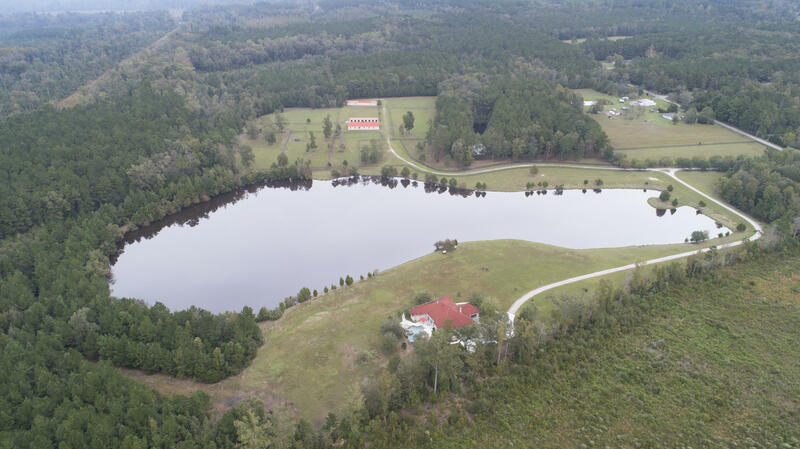 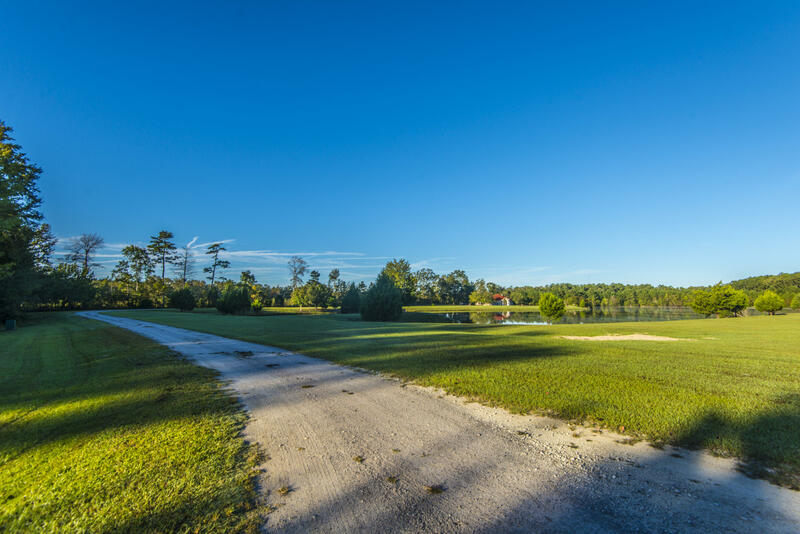 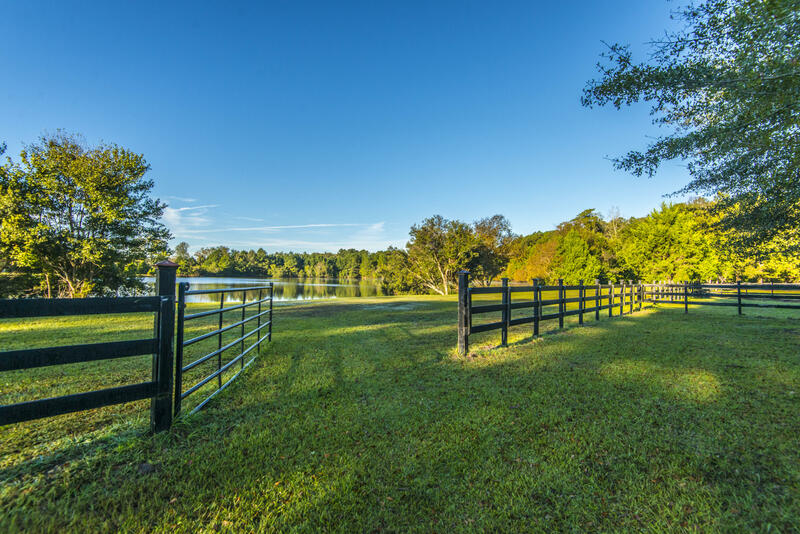 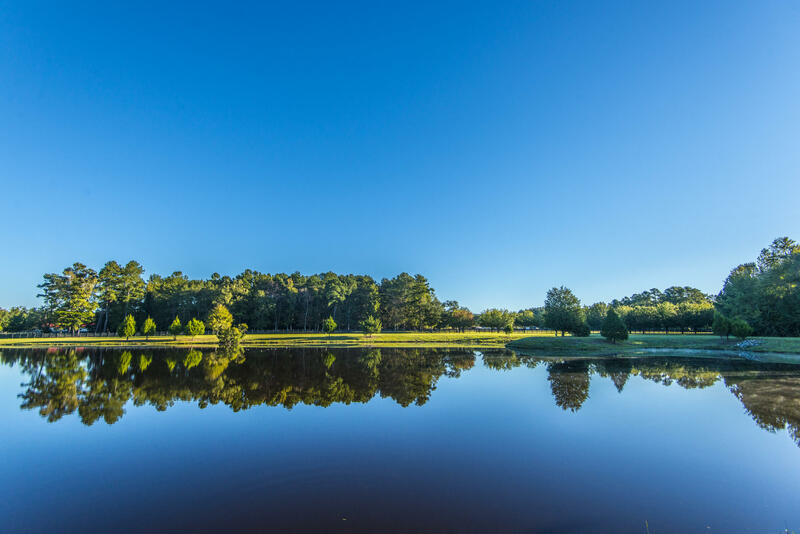 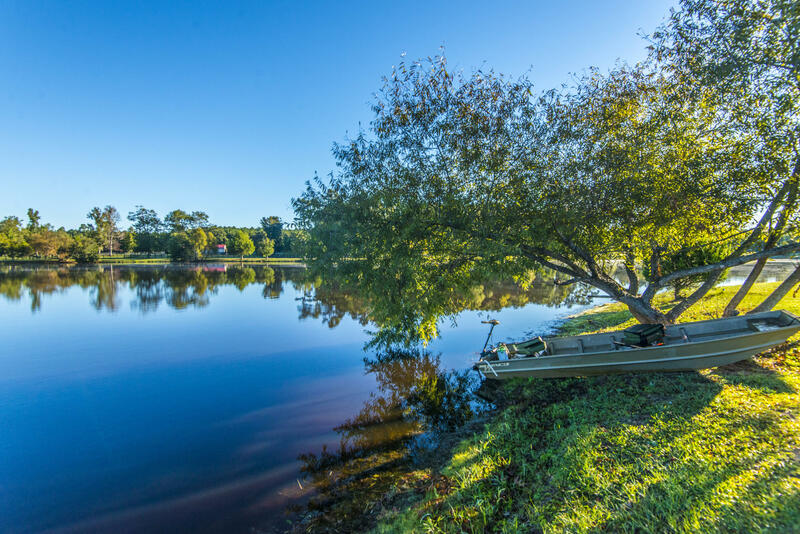 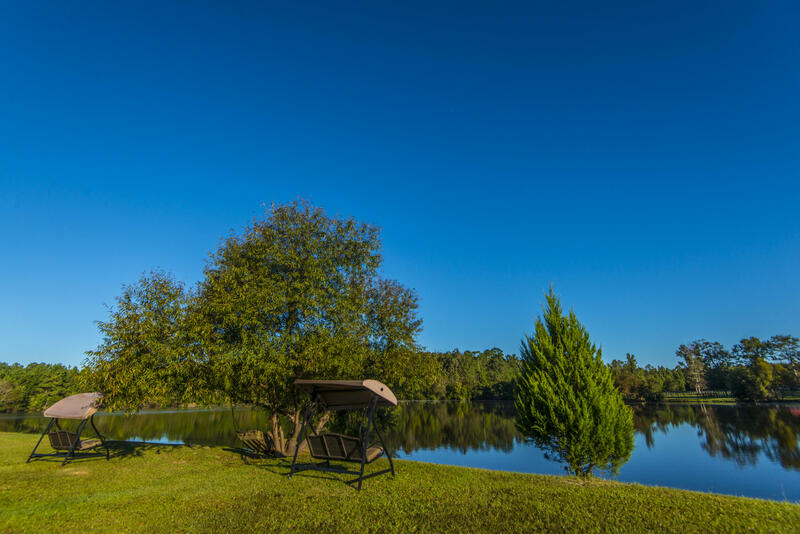 Private lake that spans about 2 acres. 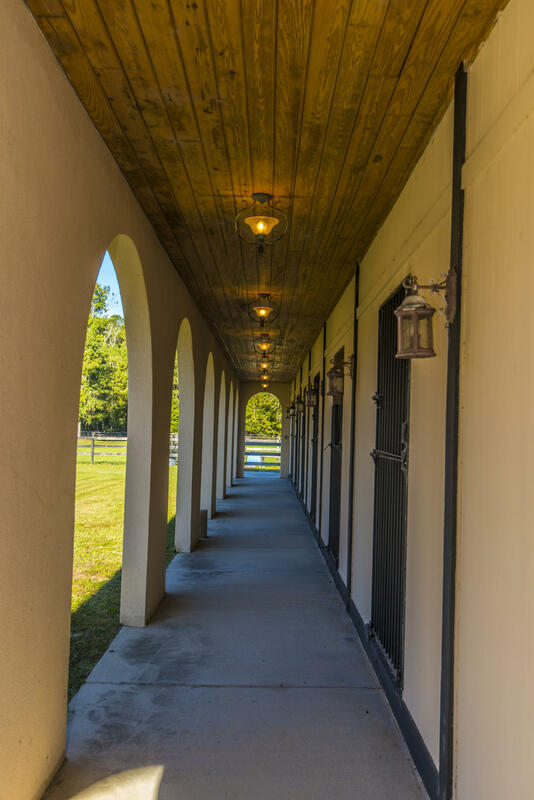 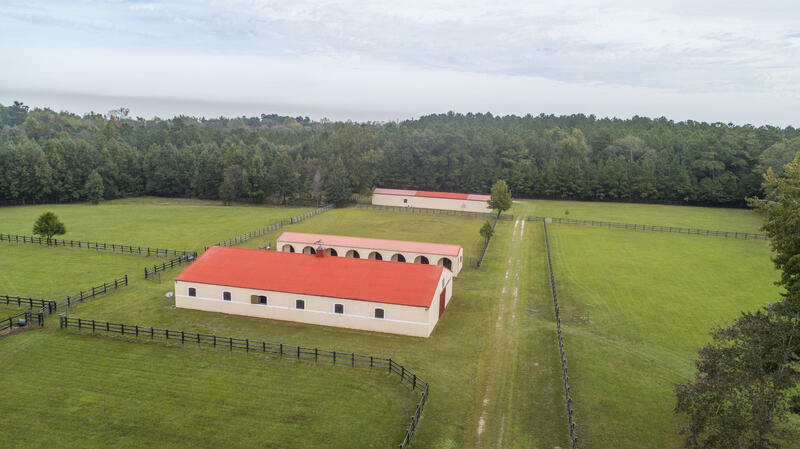 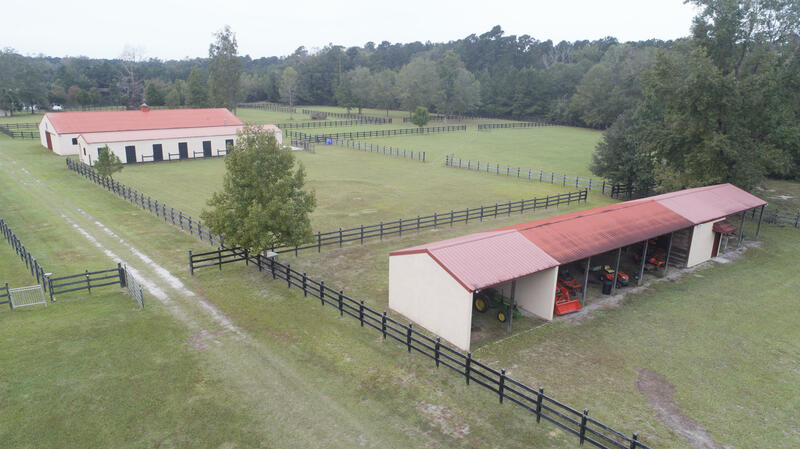 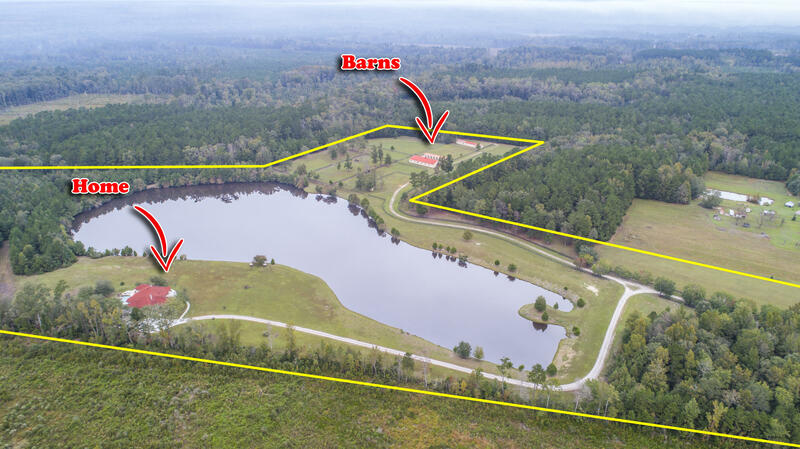 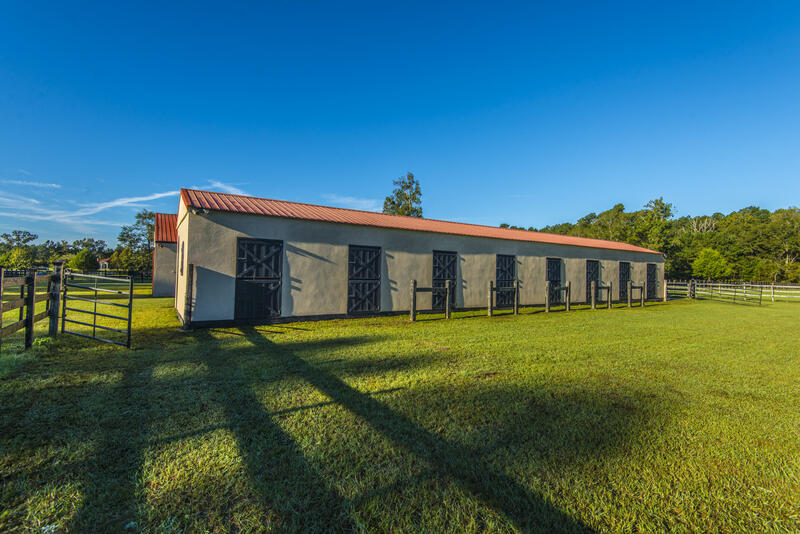 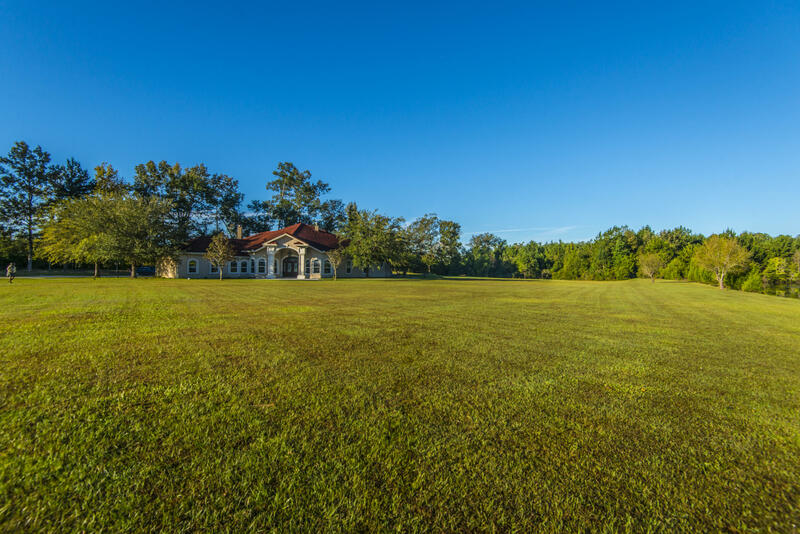 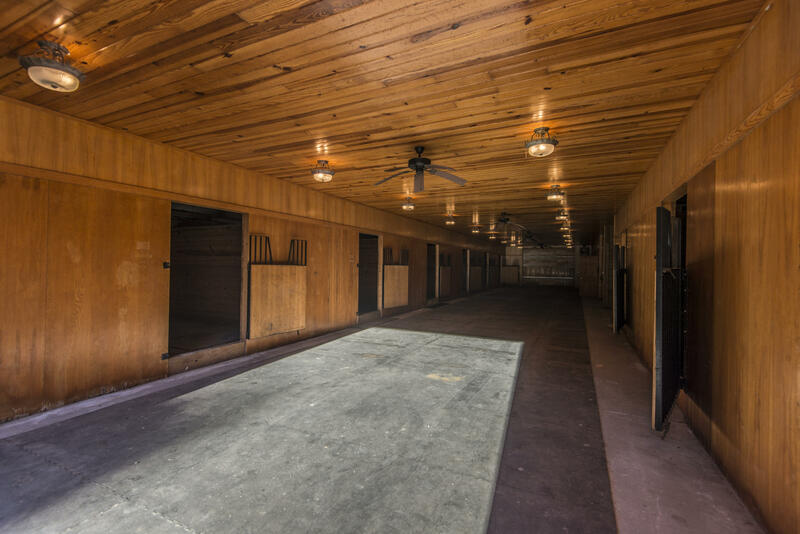 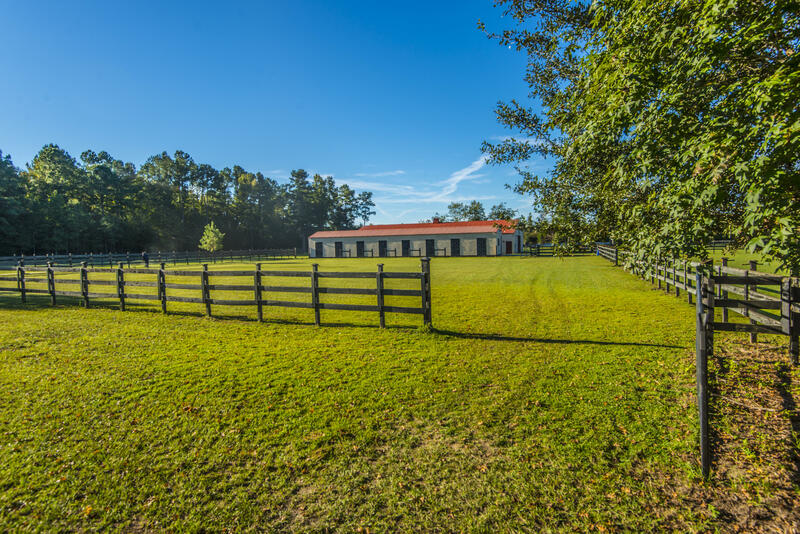 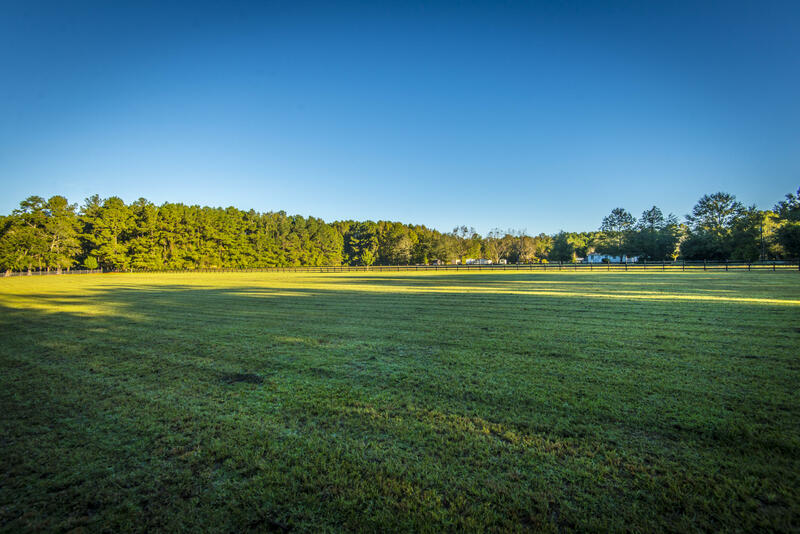 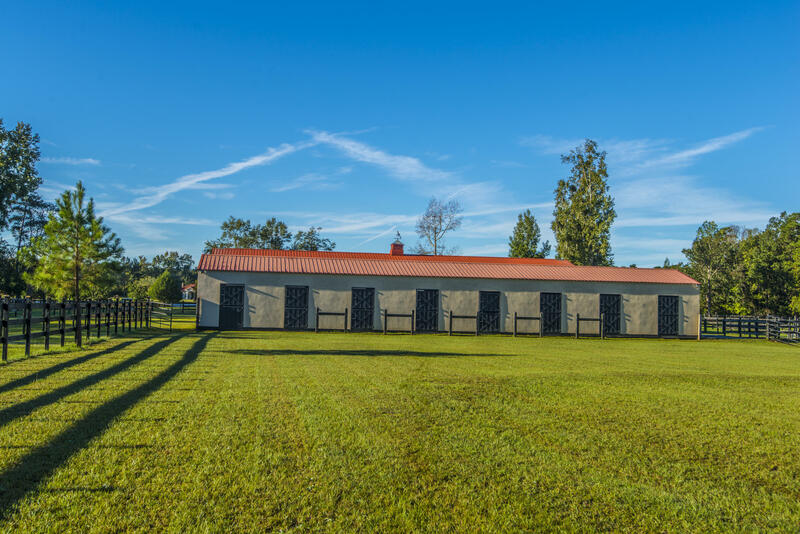 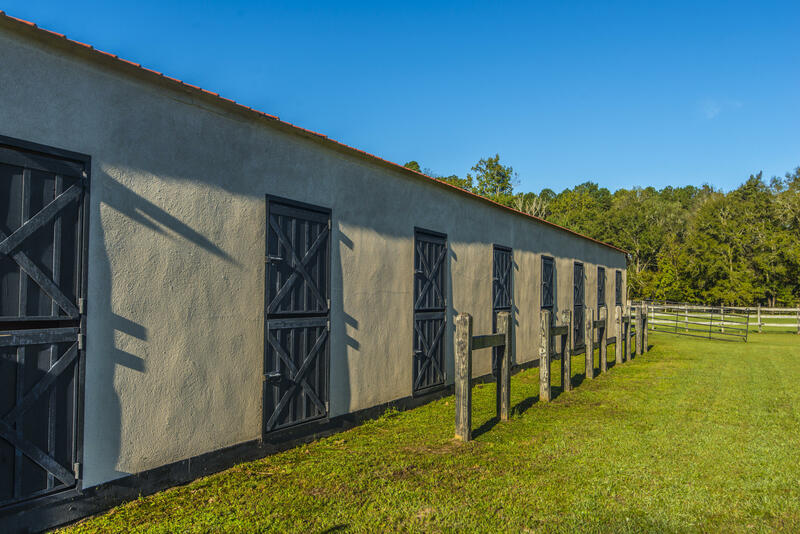 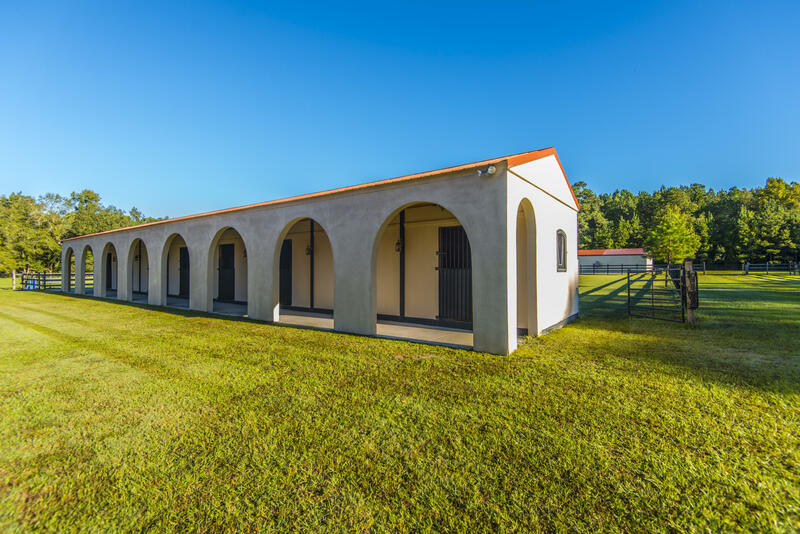 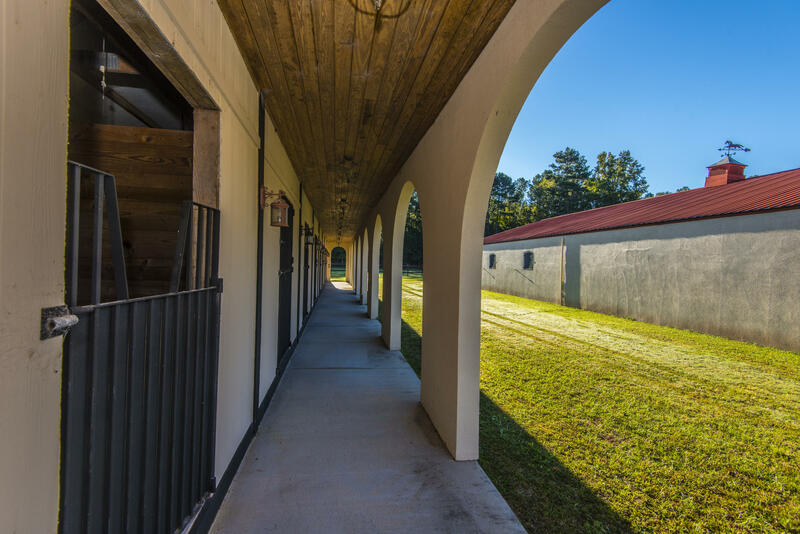 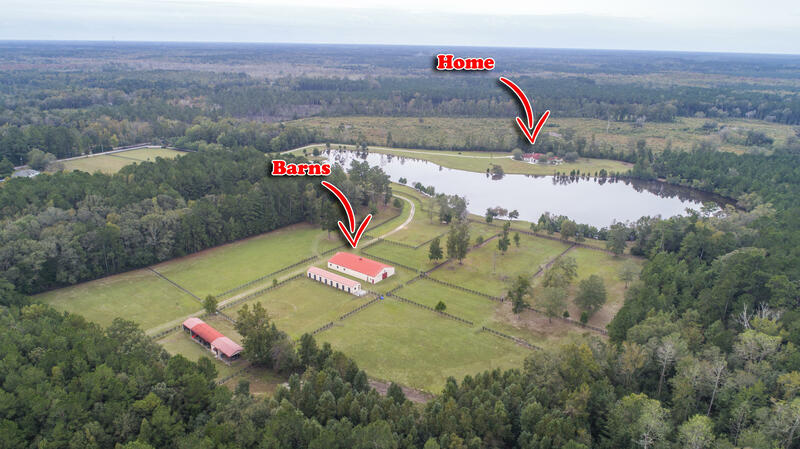 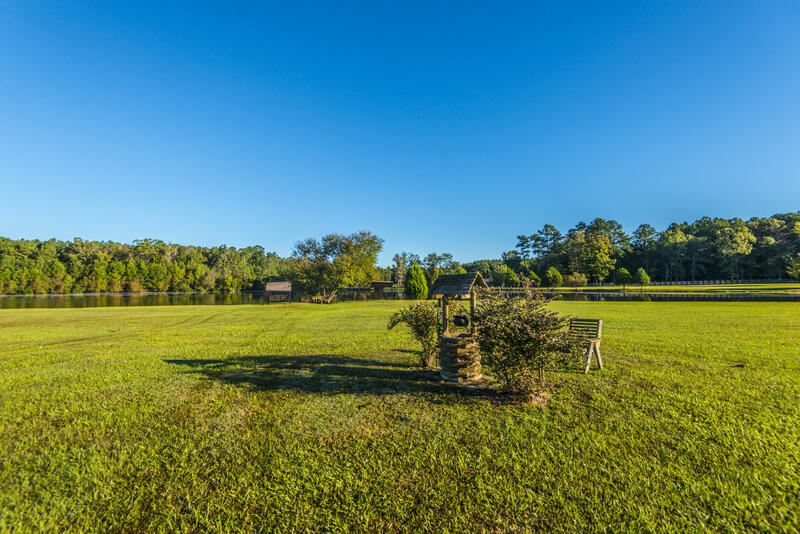 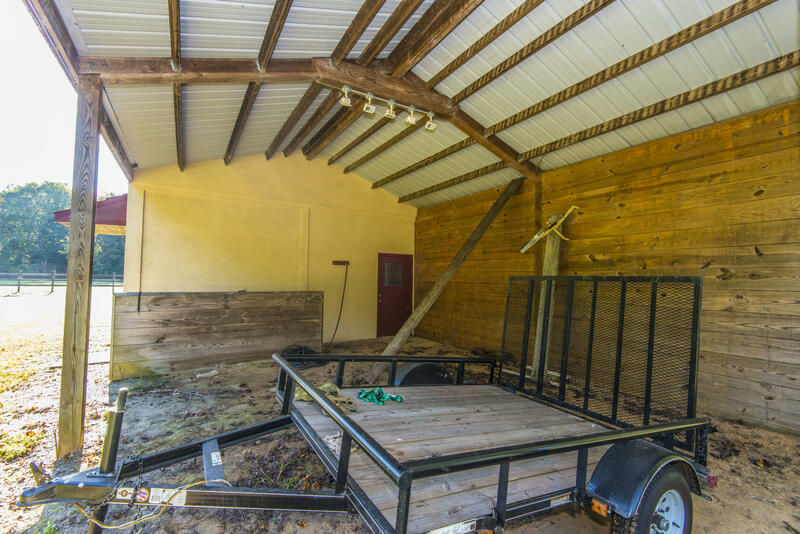 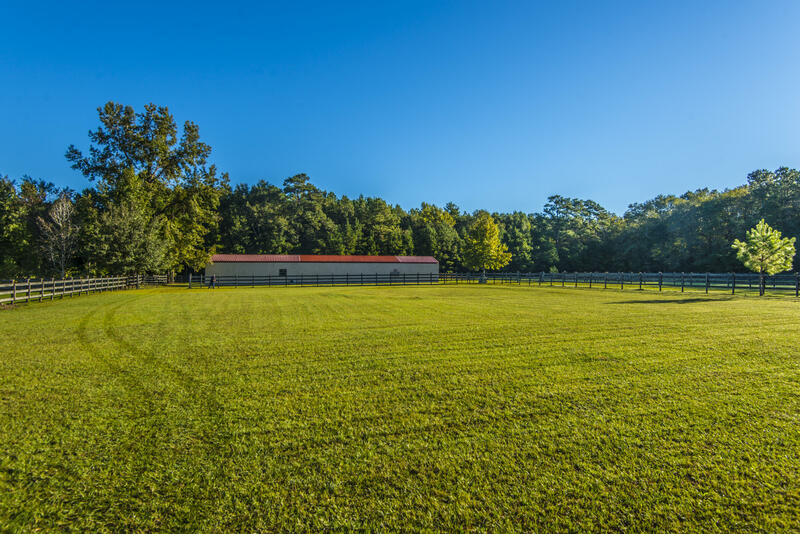 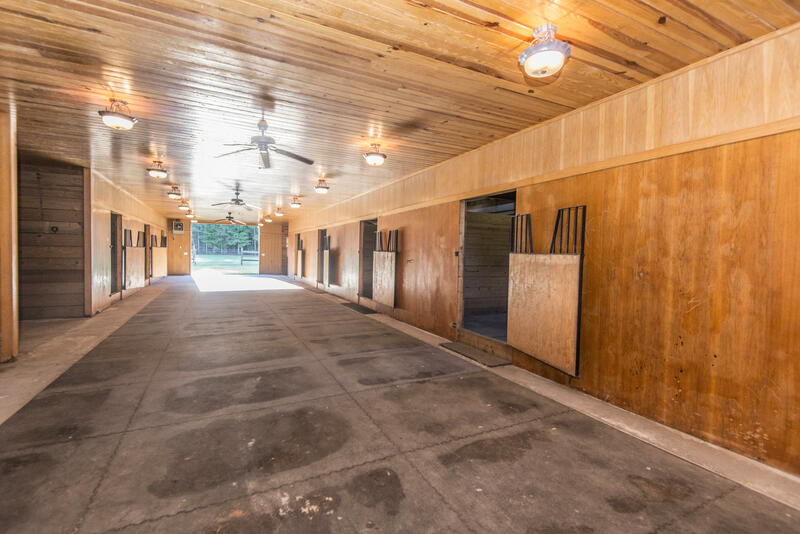 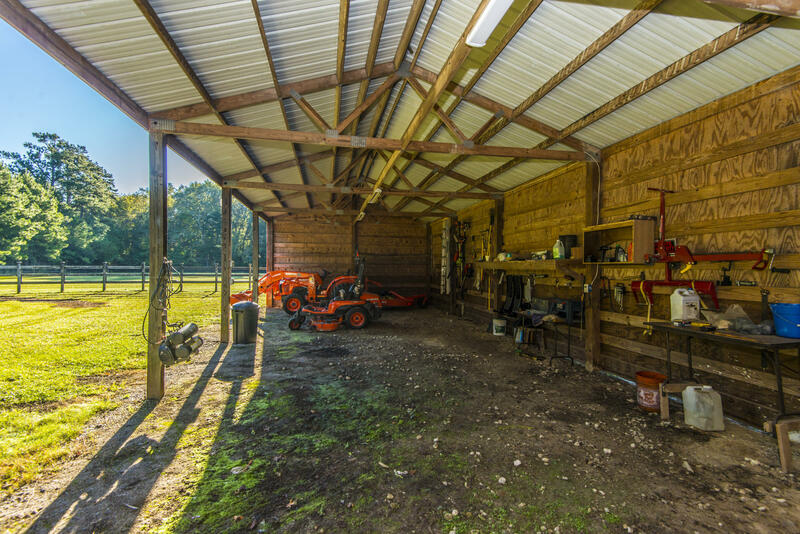 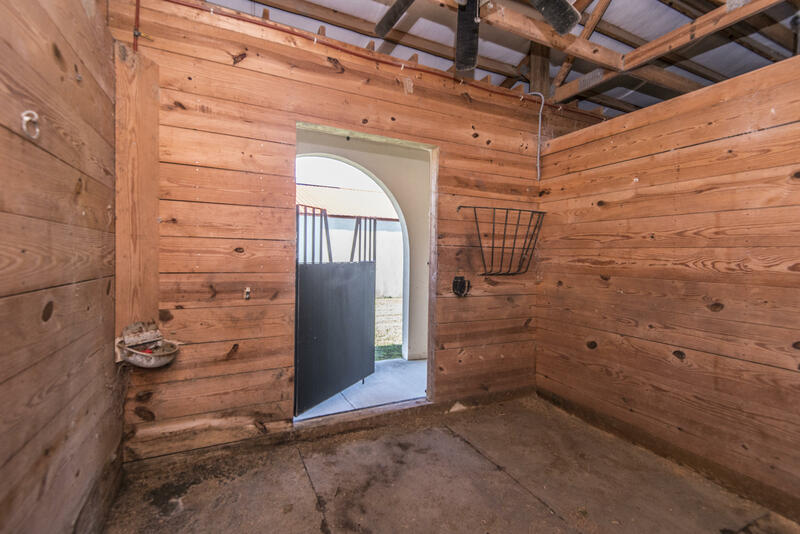 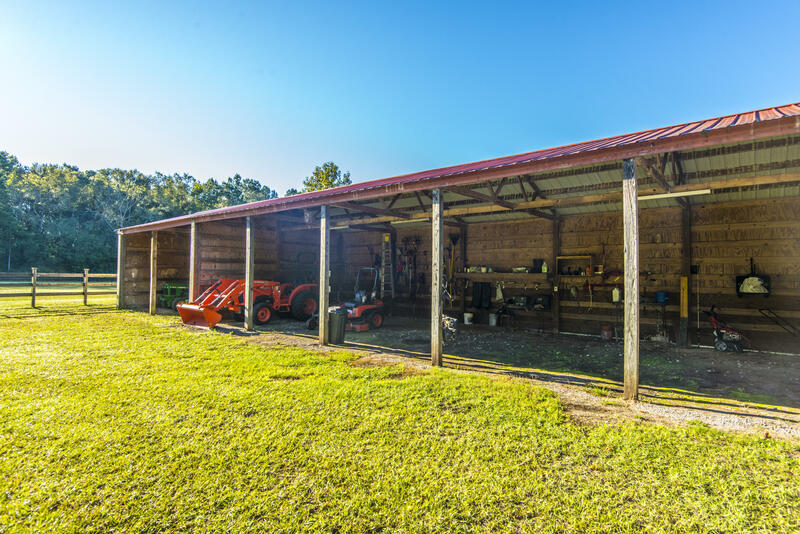 Three working horse barns with 16+ stalls that open to the pastures. 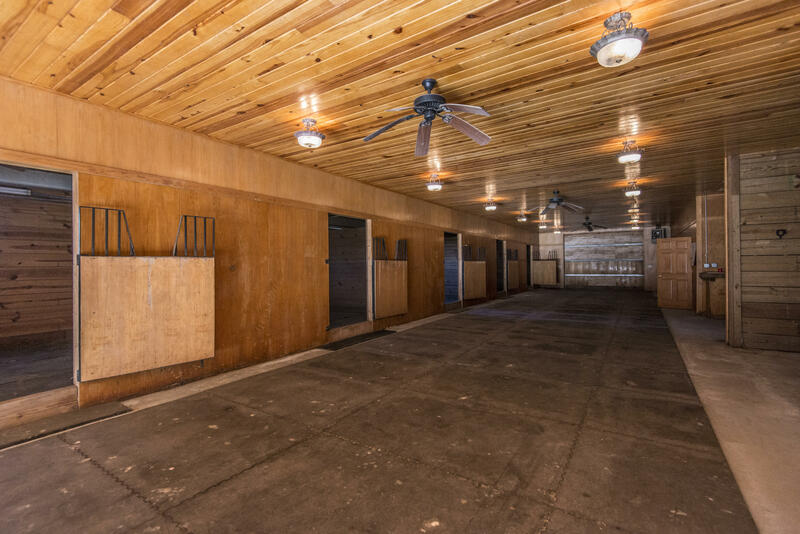 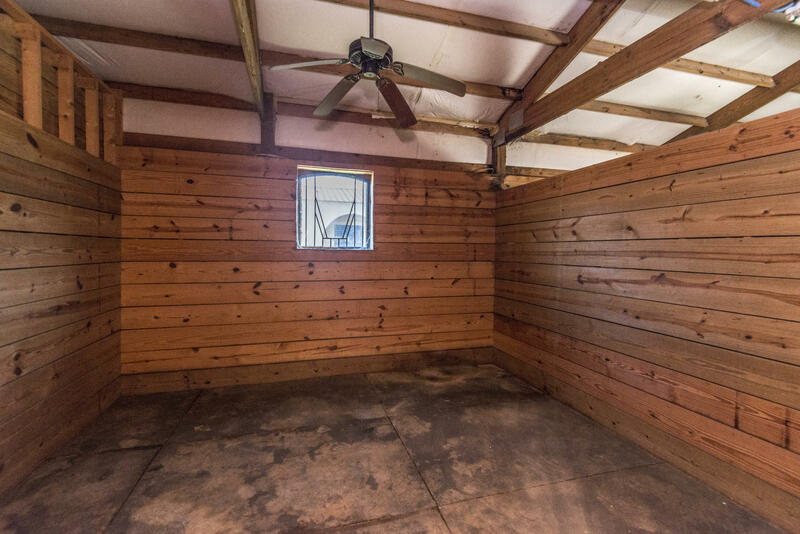 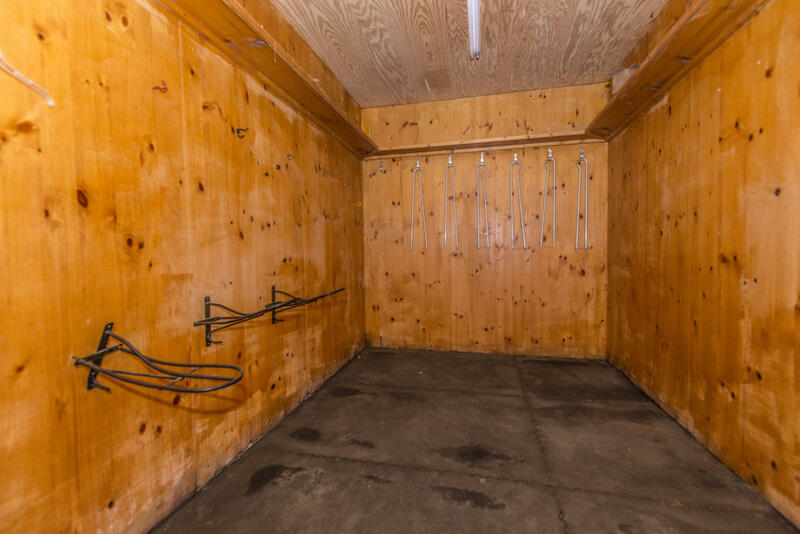 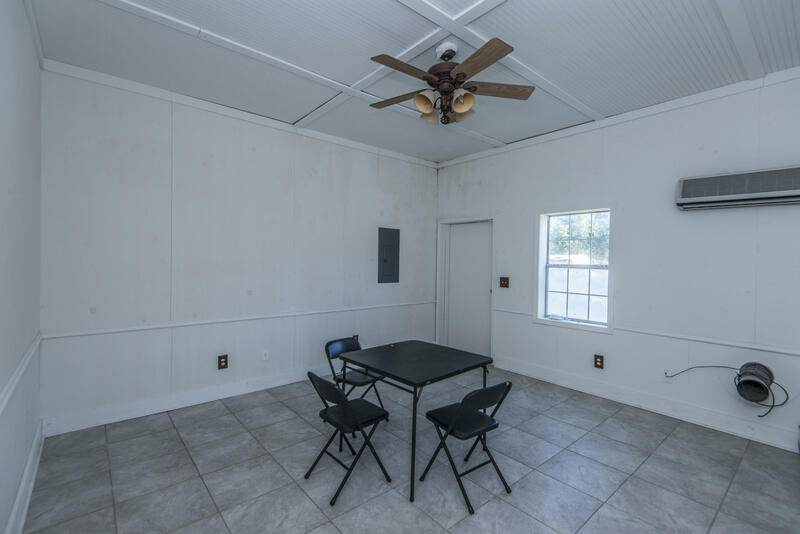 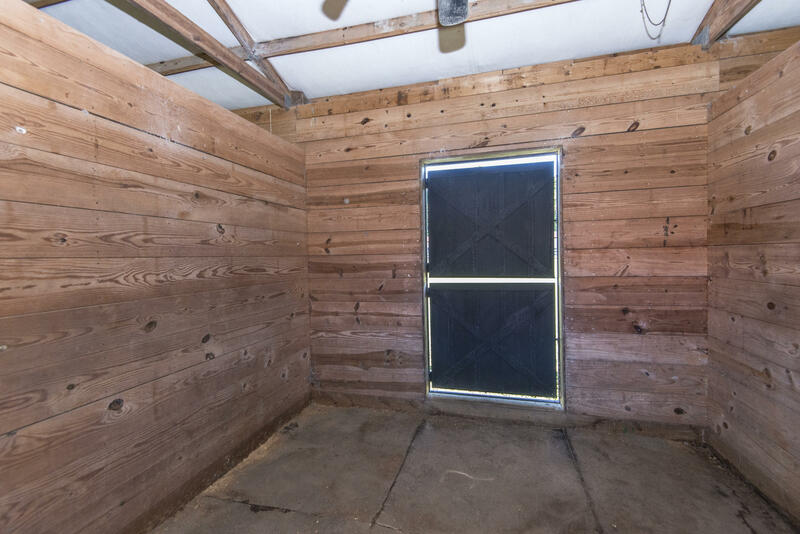 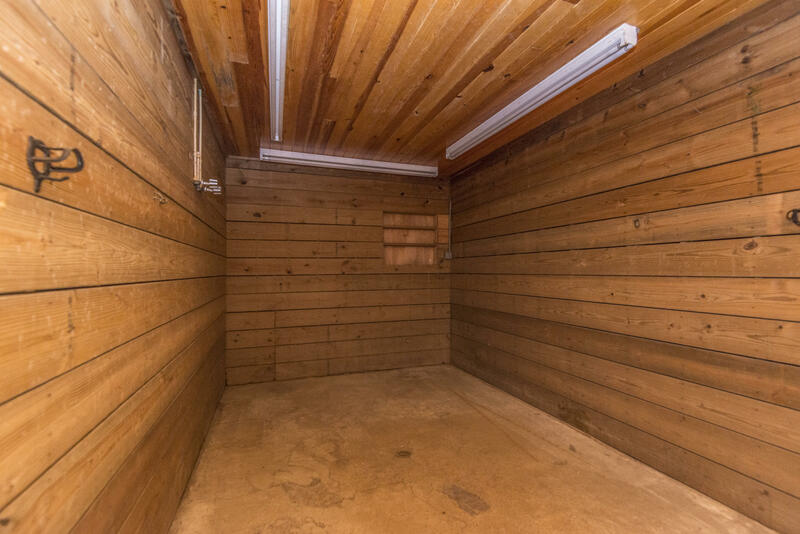 Wood ceiling, tack room, stable manager's quarters on the premises. 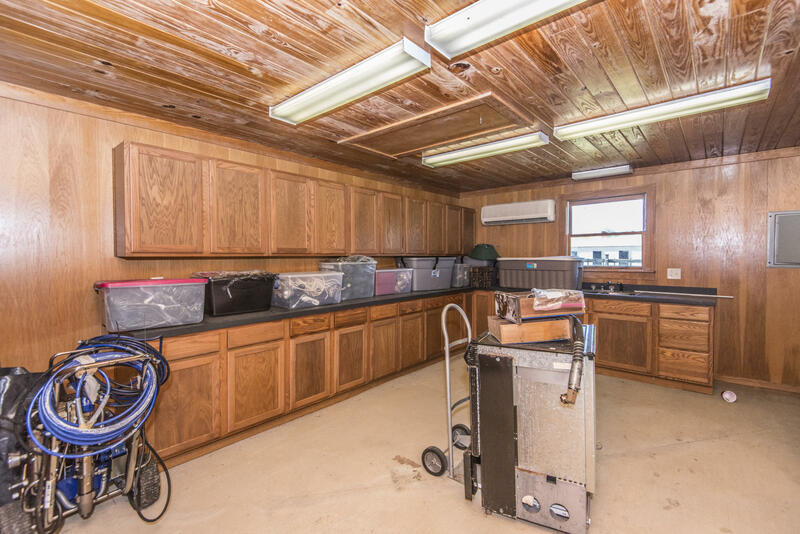 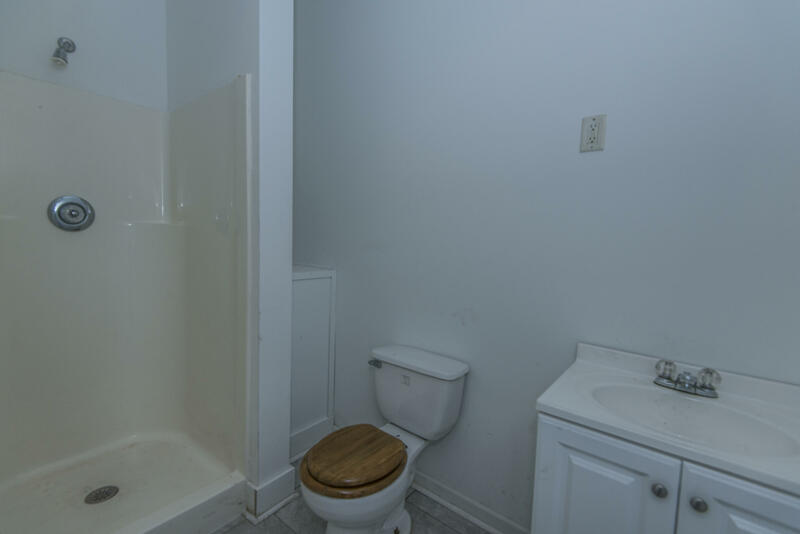 Vet room, wash area, rubber flooring.